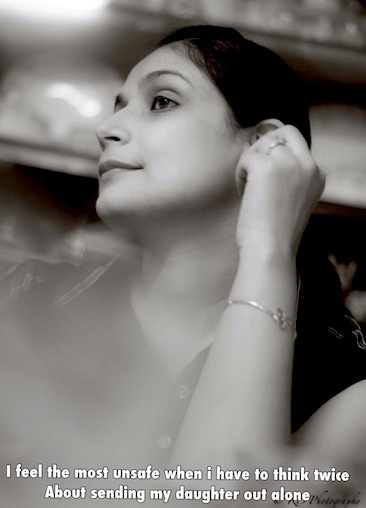 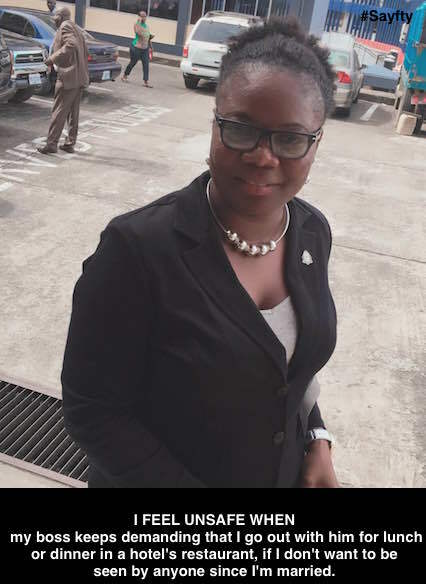 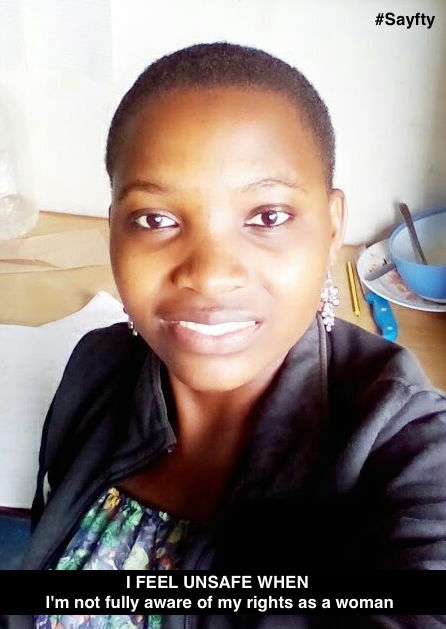 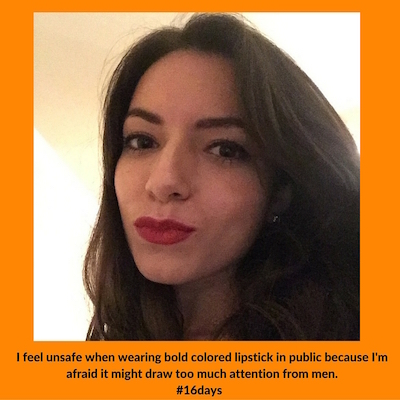 The 16 Days of Activism Against Gender-Based Violence is an international campaign started by the first Women’s Global Leadership Institute coordinated by the Center for Women’s Global Leadership in 1991. 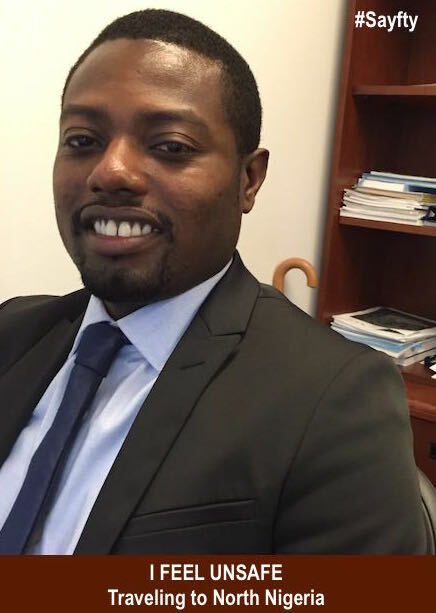 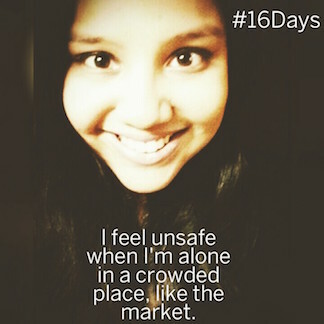 The 16 days, starting November 25 marking International Day Against Violence Against Women to December 10, which is International Human Rights Day, symbolically link the issue of violence against women with human rights, and emphasize that such violence is a violation of those human rights. 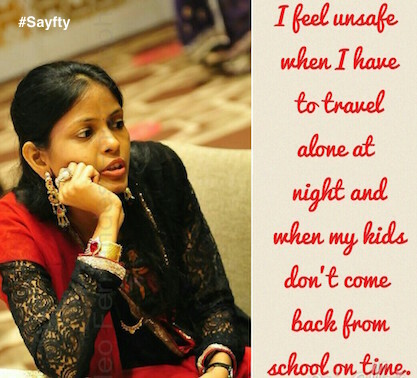 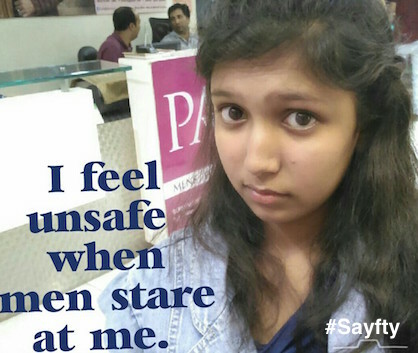 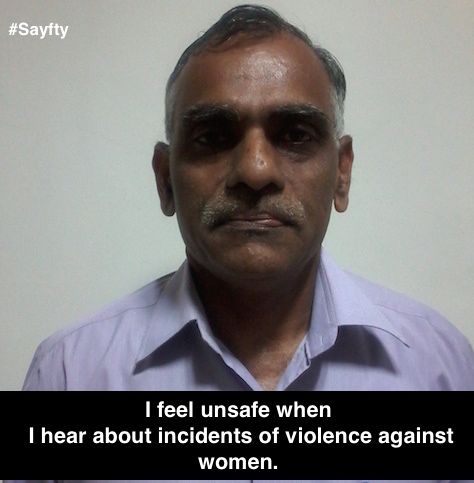 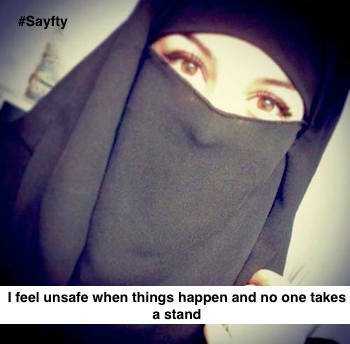 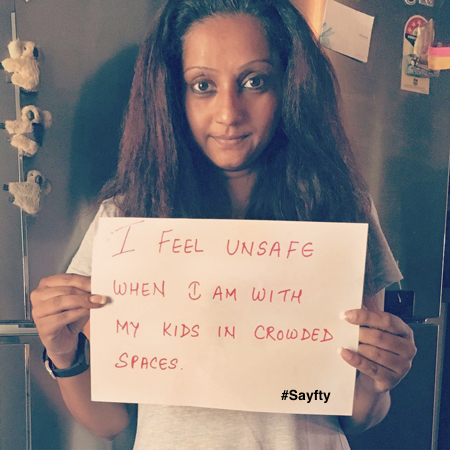 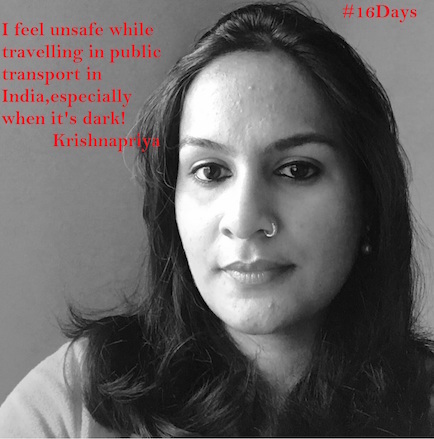 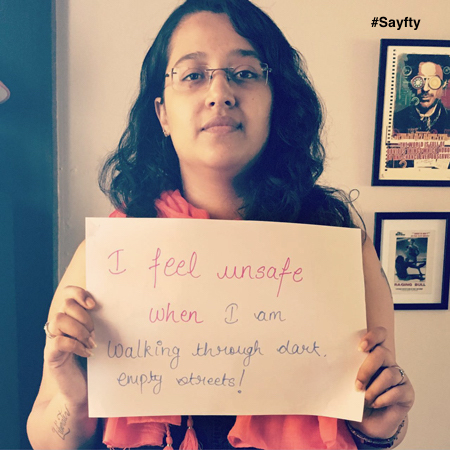 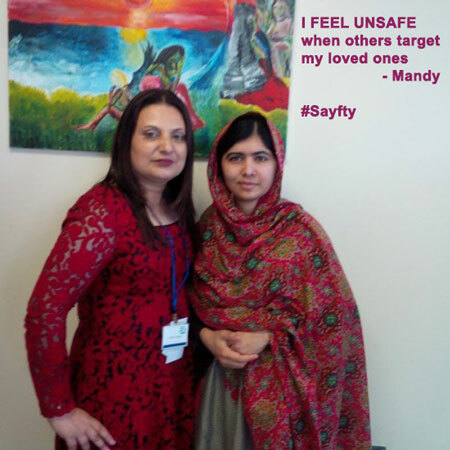 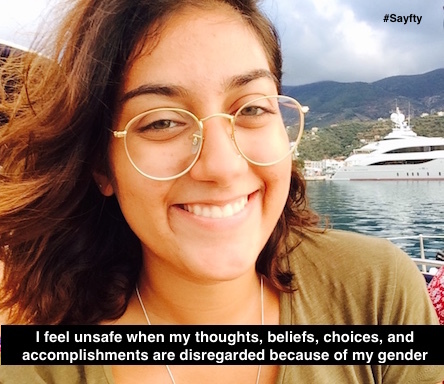 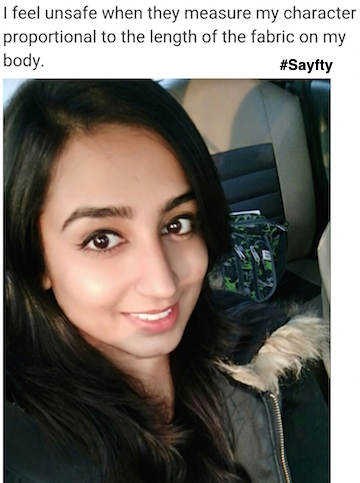 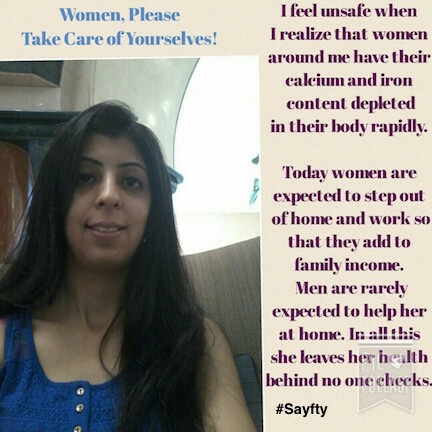 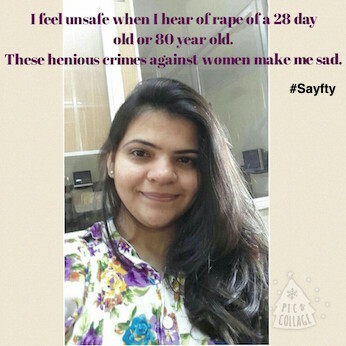 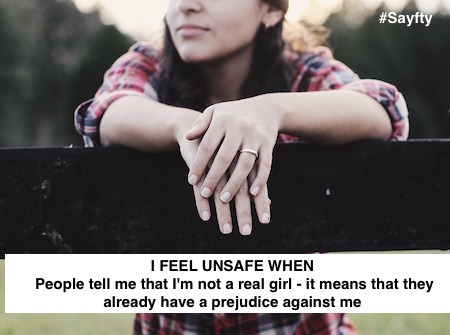 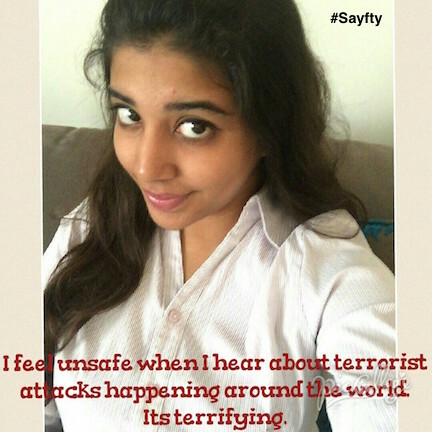 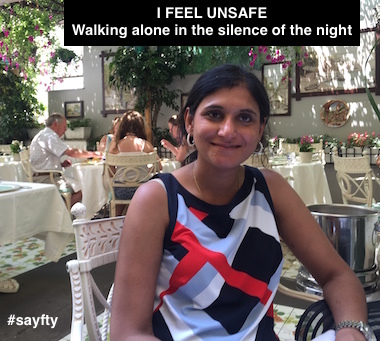 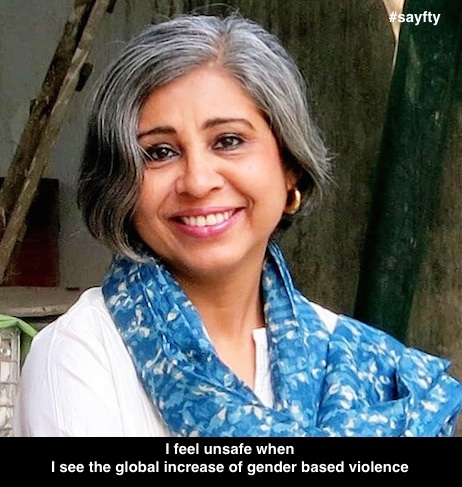 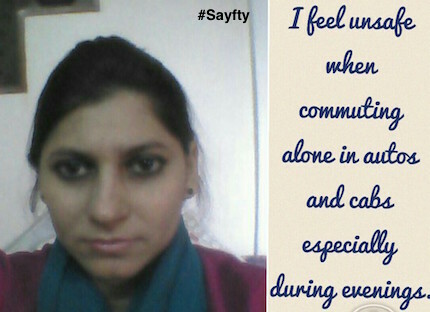 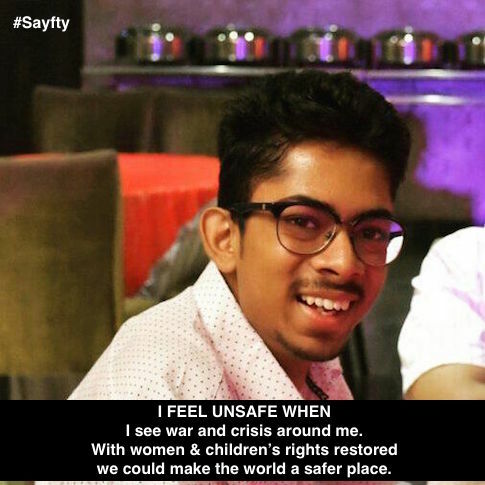 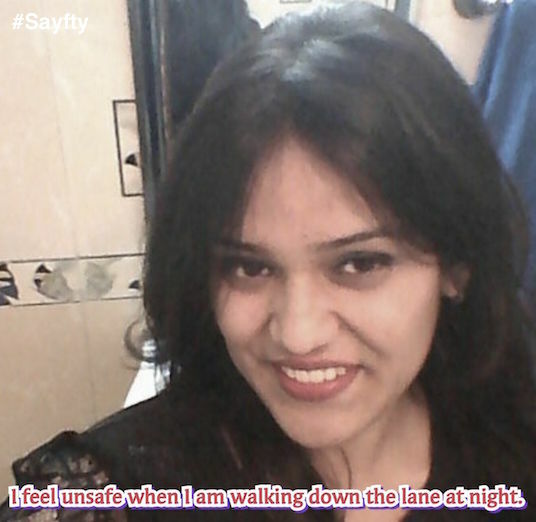 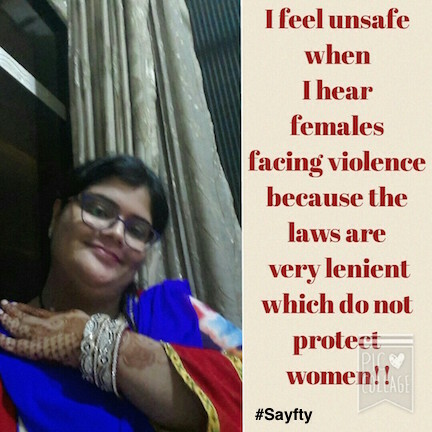 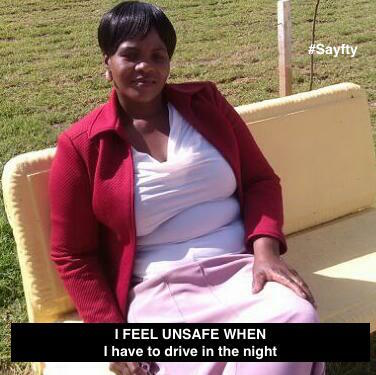 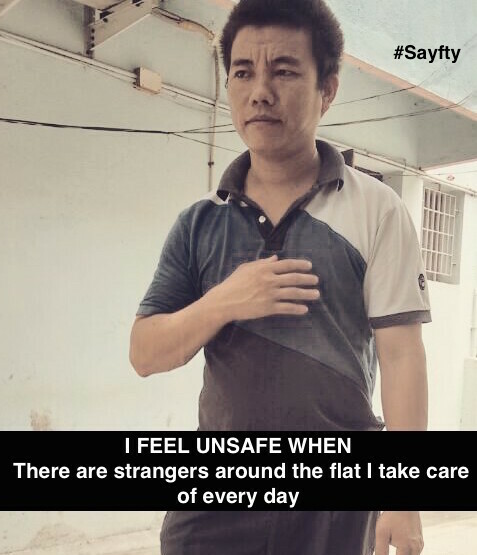 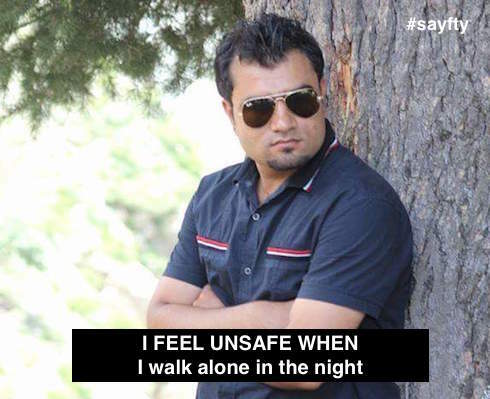 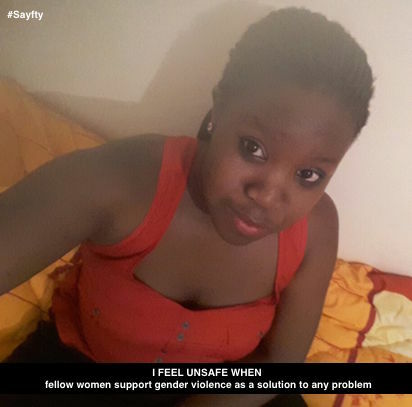 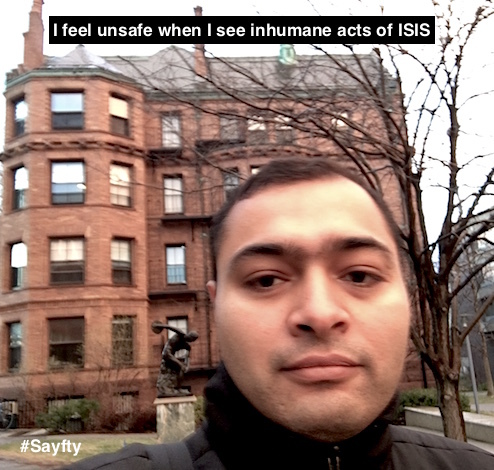 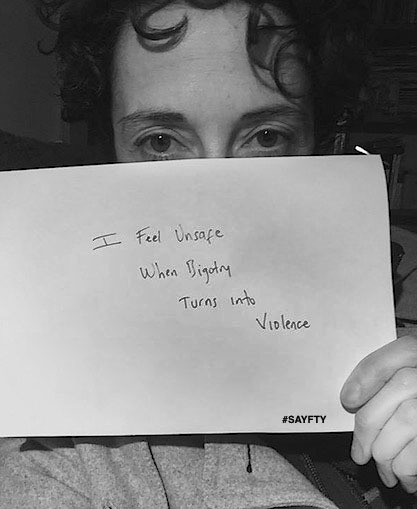 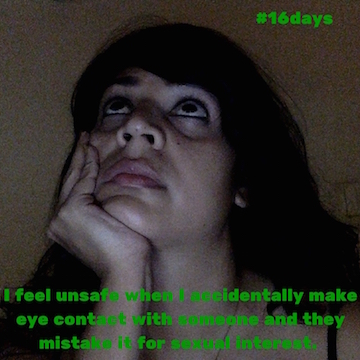 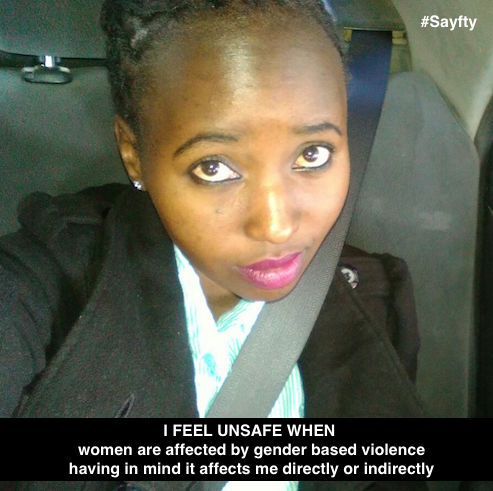 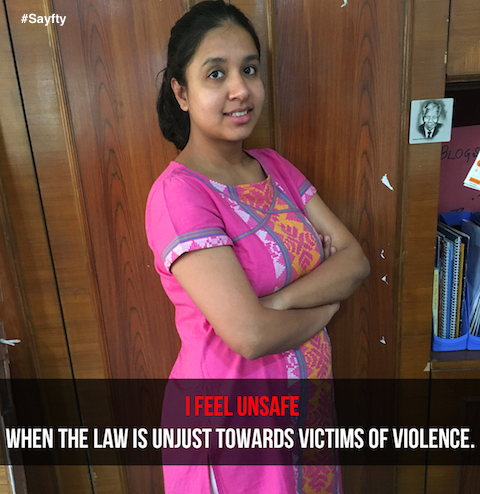 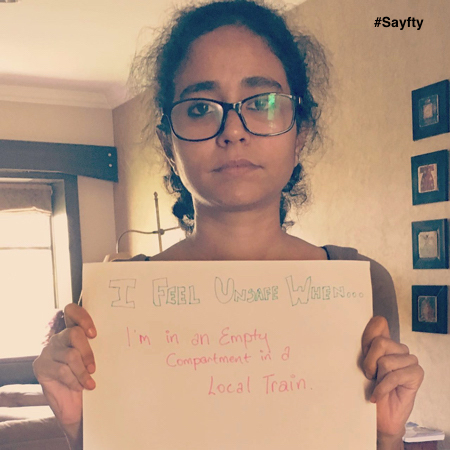 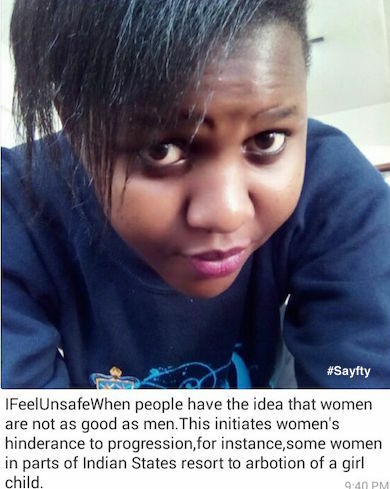 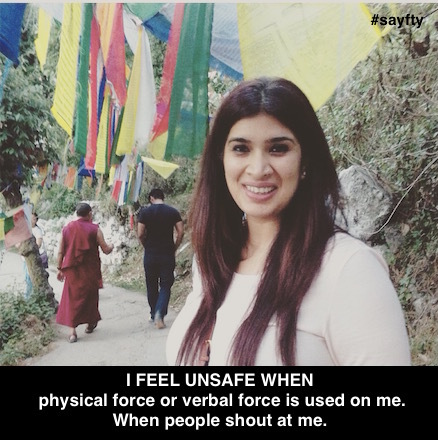 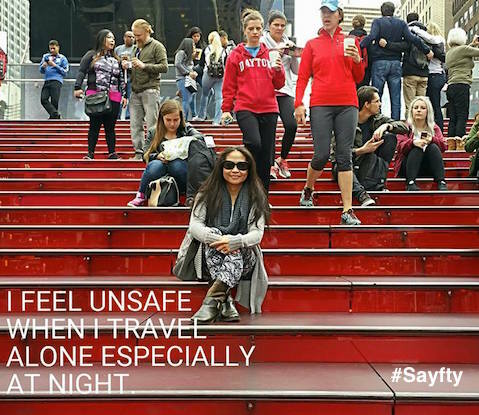 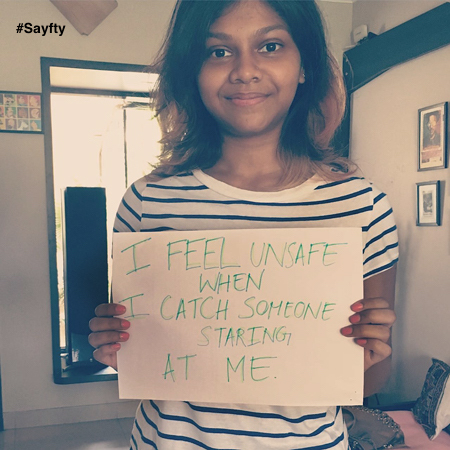 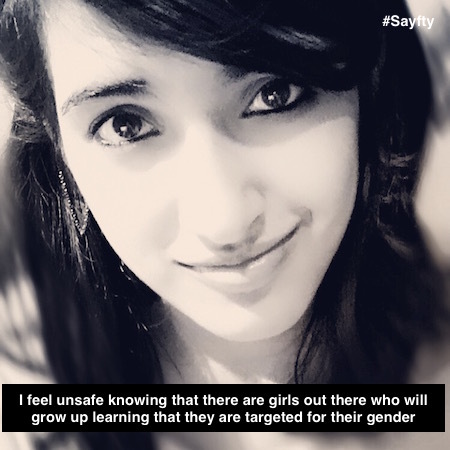 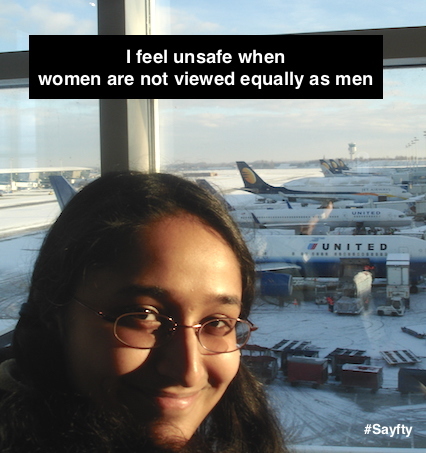 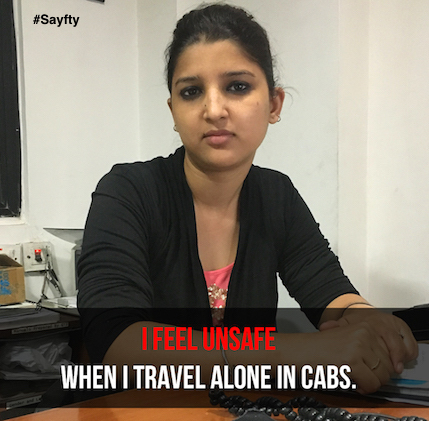 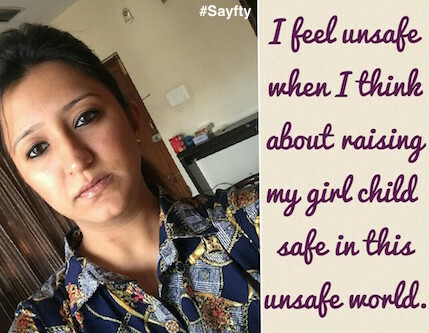 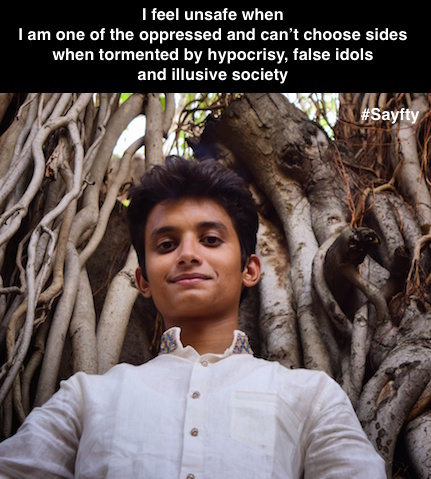 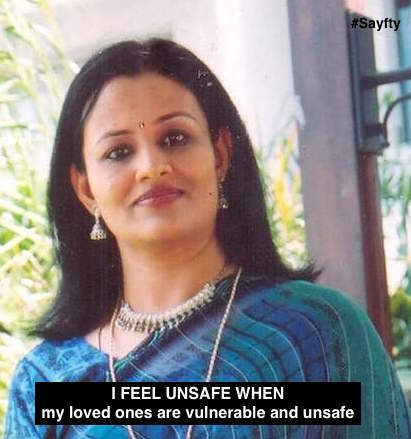 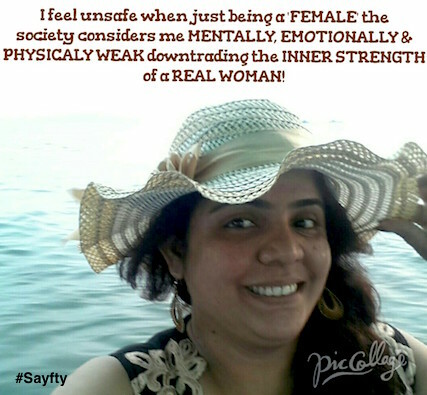 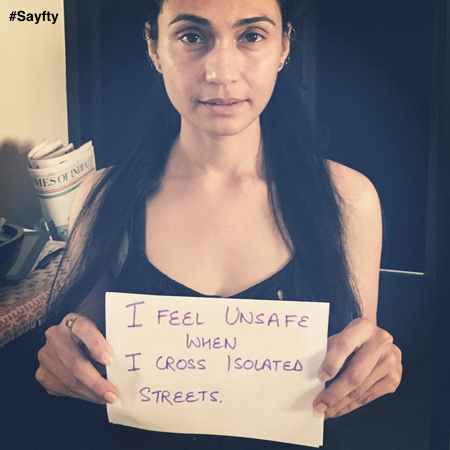 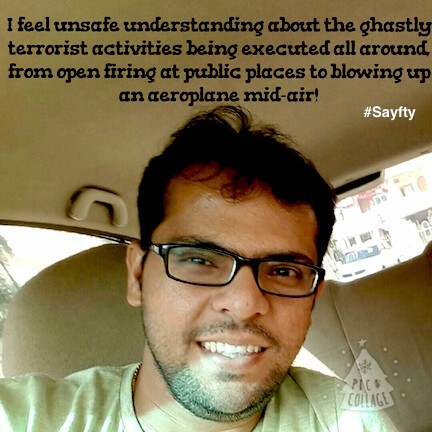 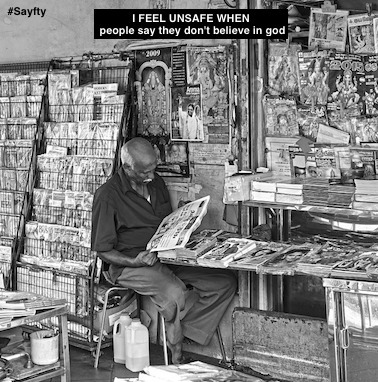 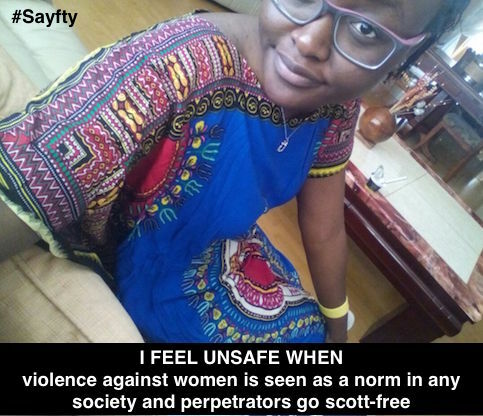 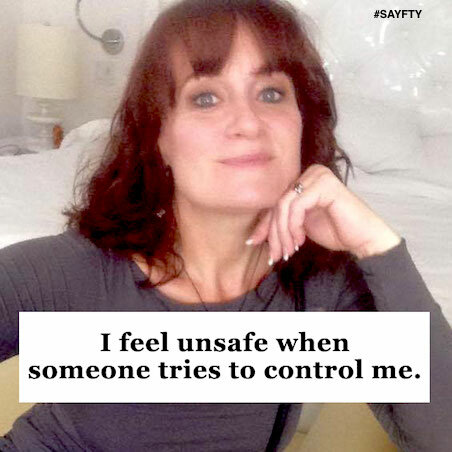 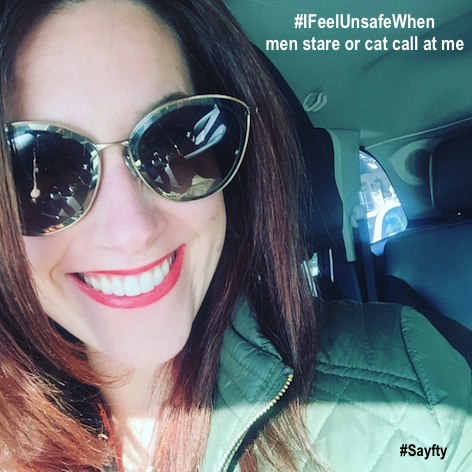 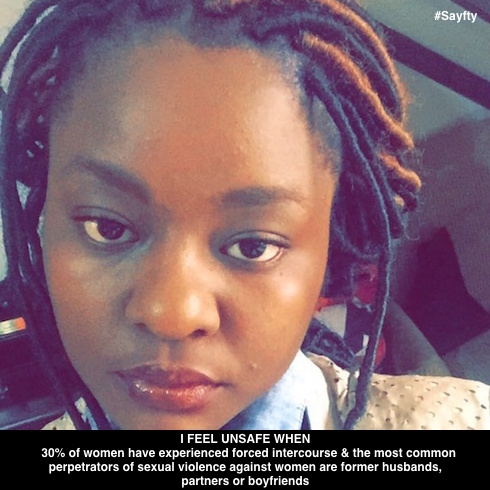 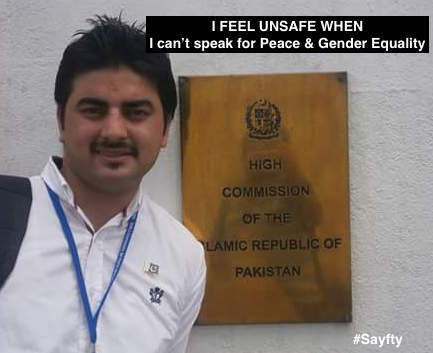 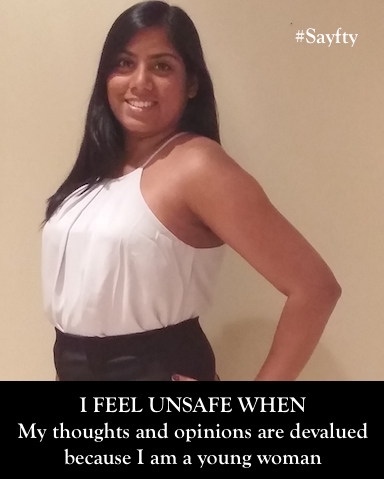 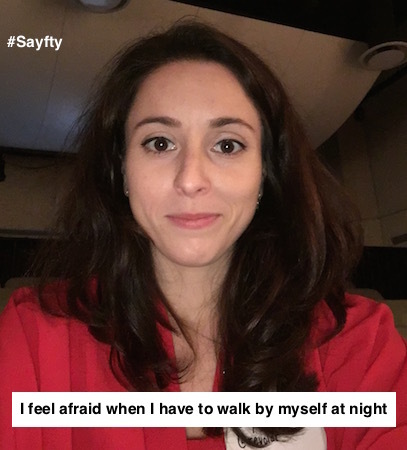 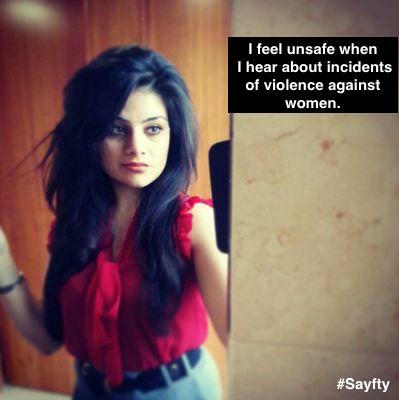 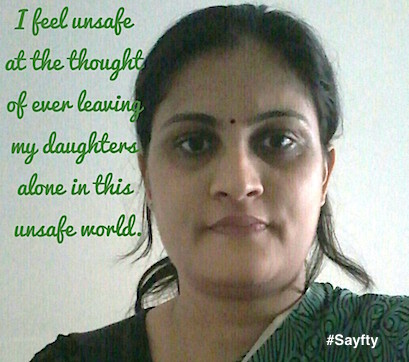 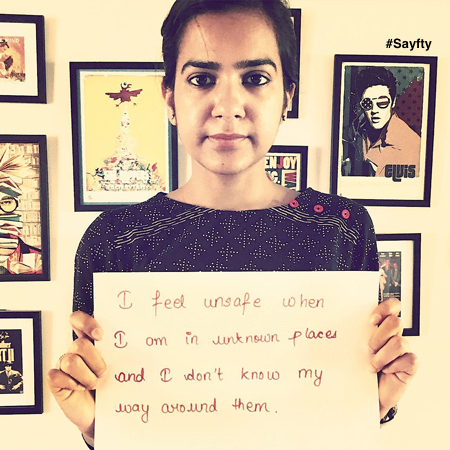 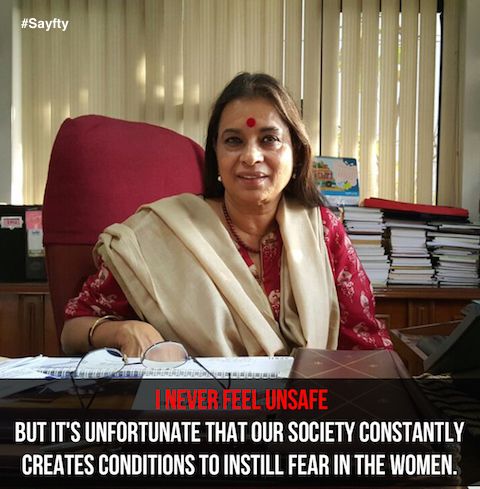 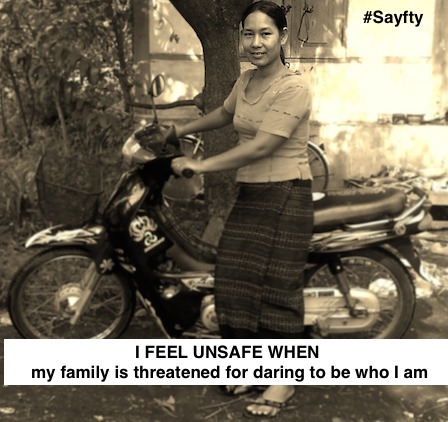 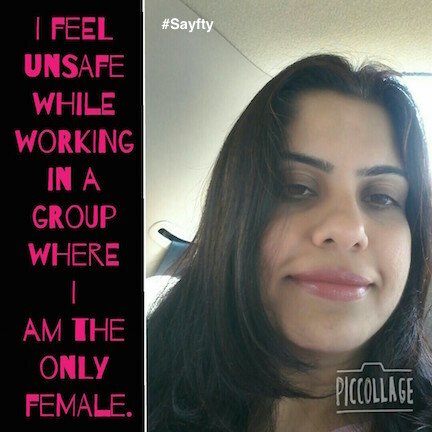 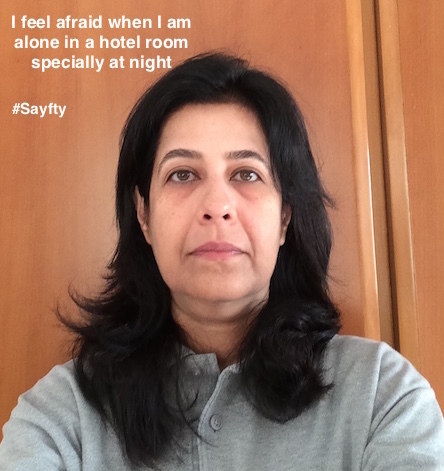 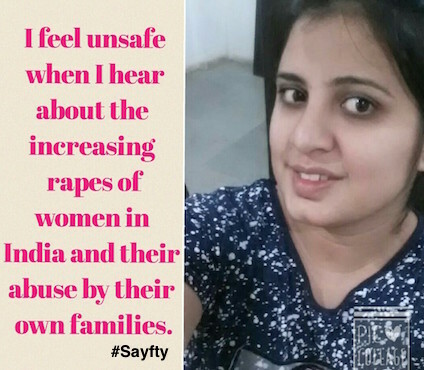 To contribute to the #16DaysOfActivism Campaign, Sayfty launched a campaign to share what makes us all feel unsafe. 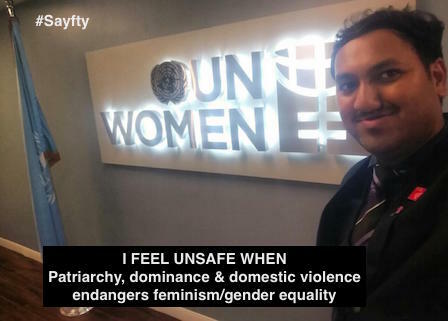 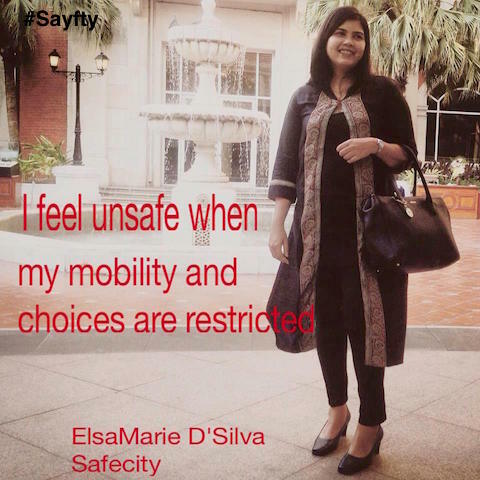 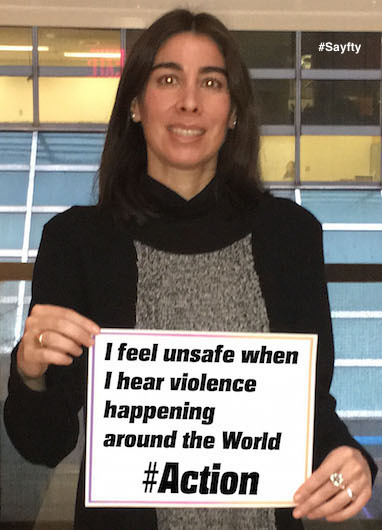 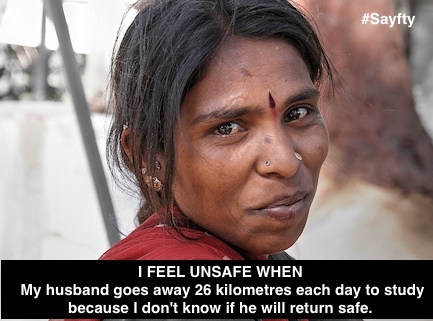 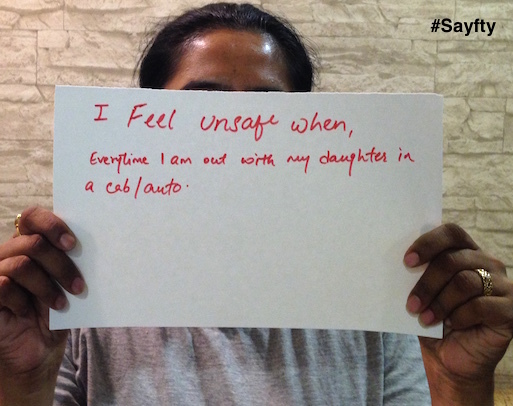 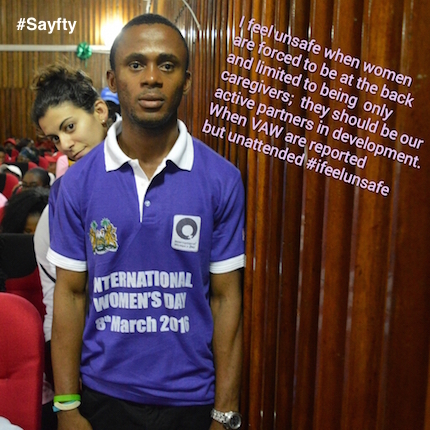 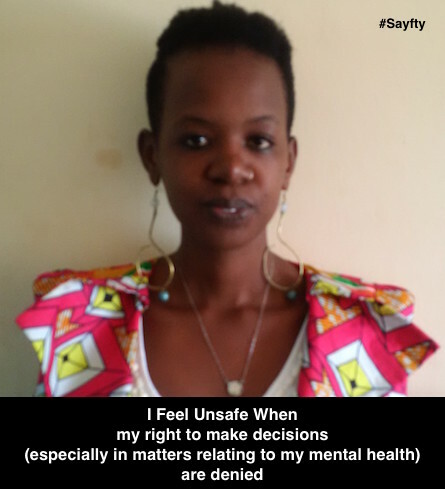 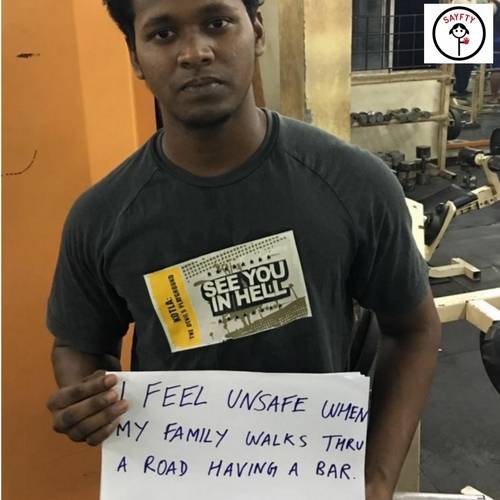 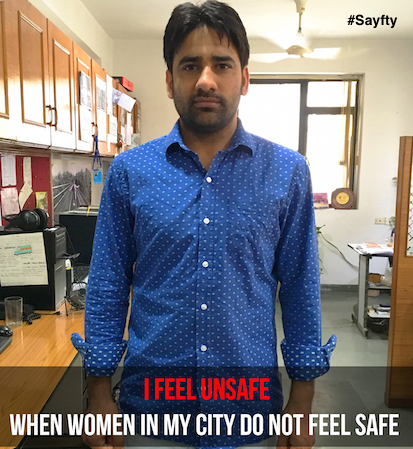 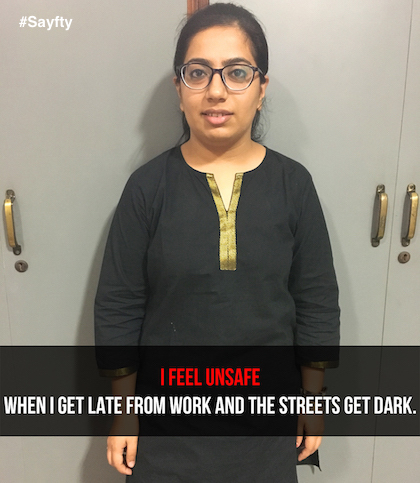 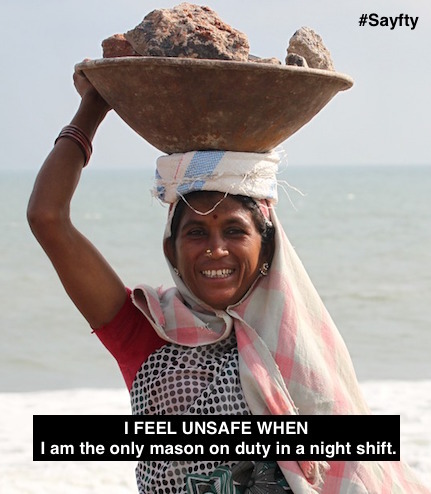 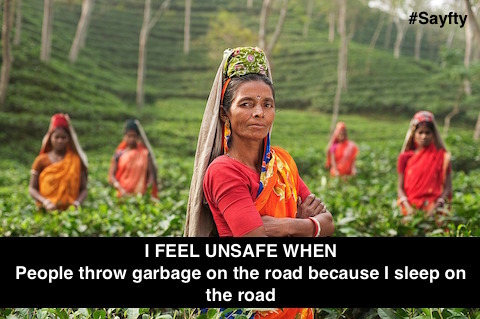 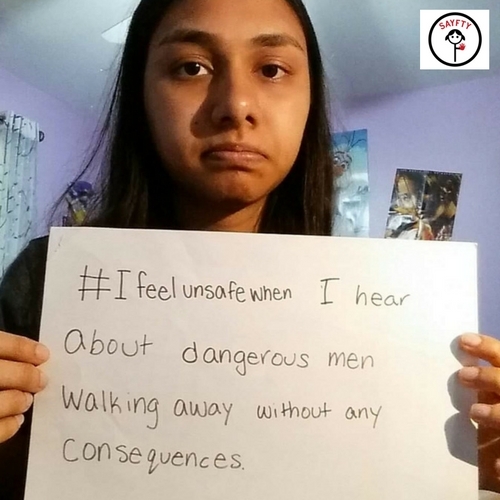 Here are the #IFeelUnsafeWhen submissions we received from all over the world on what makes people unsafe. 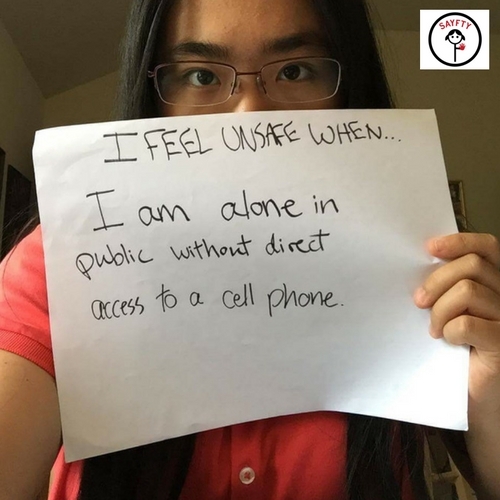 You too can be a part of this campaign! 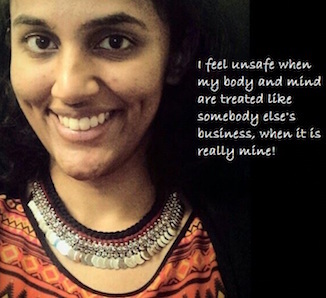 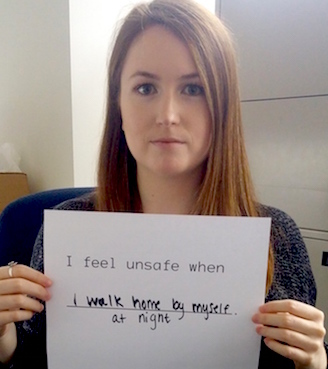 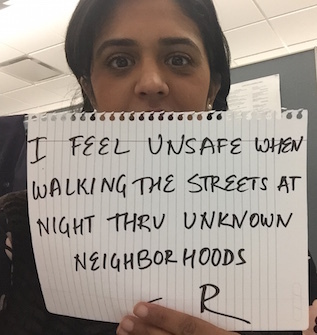 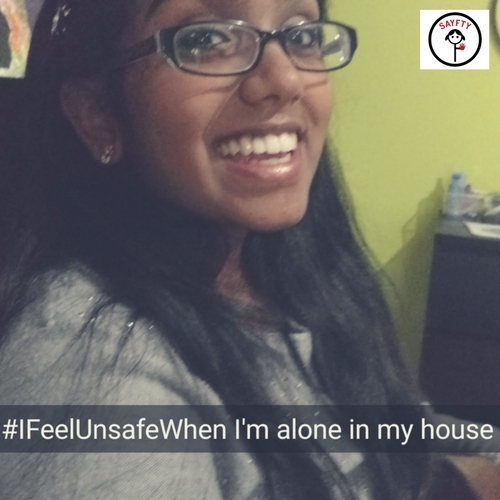 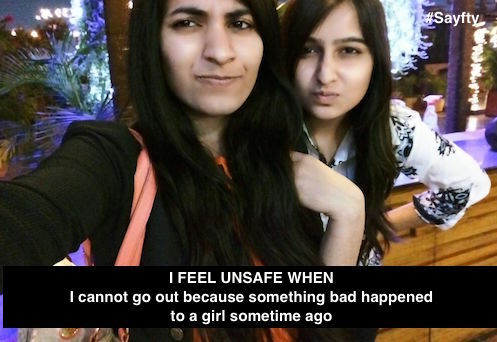 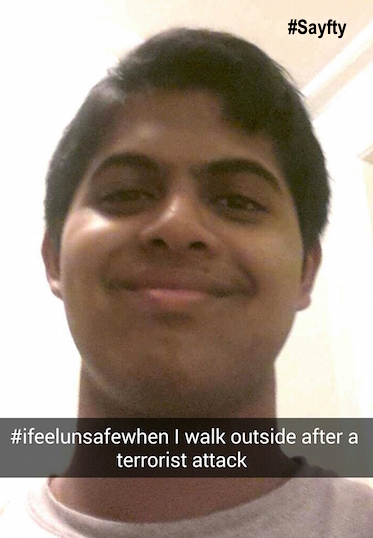 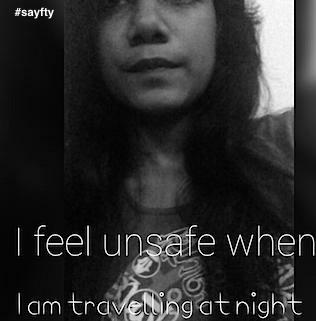 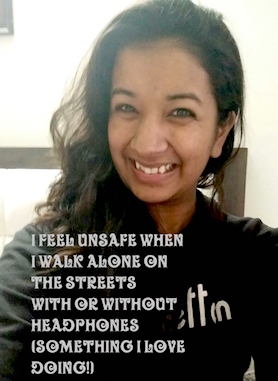 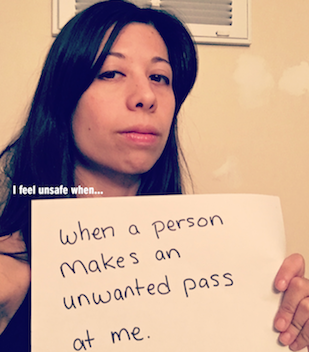 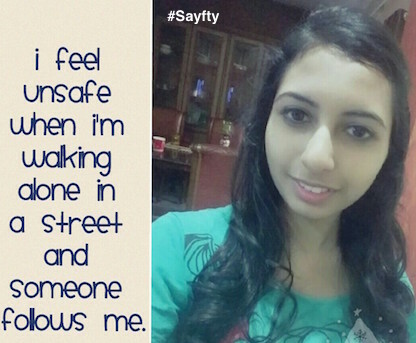 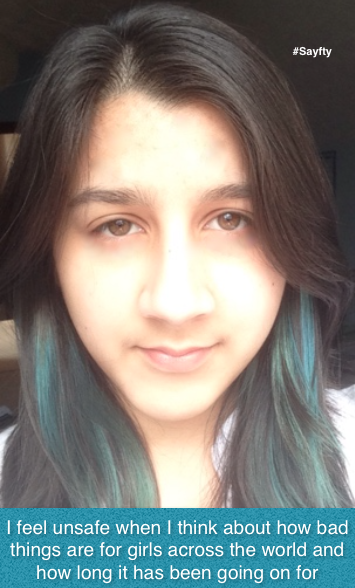 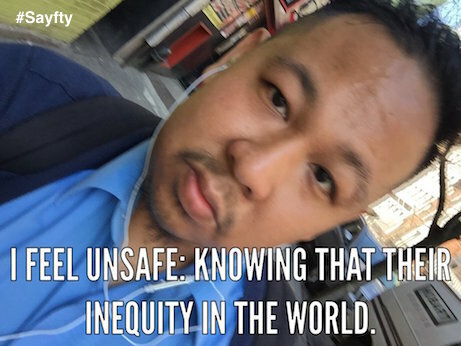 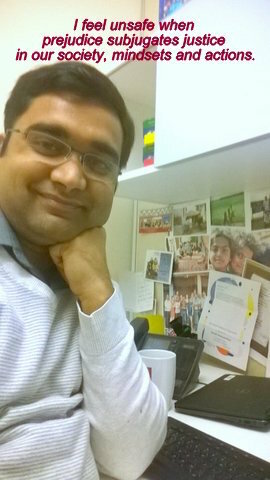 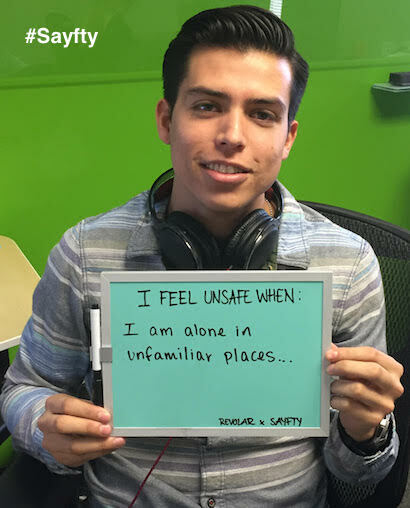 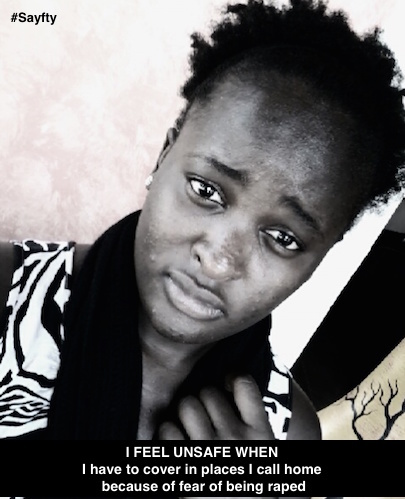 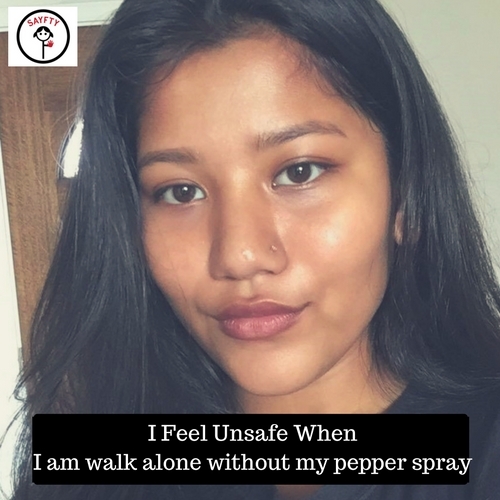 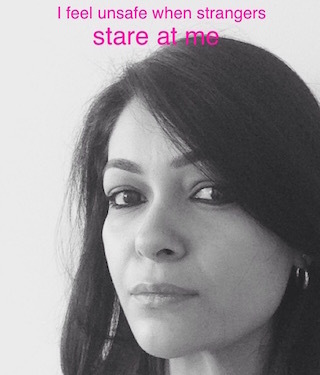 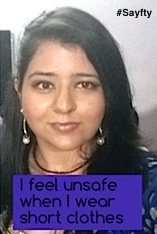 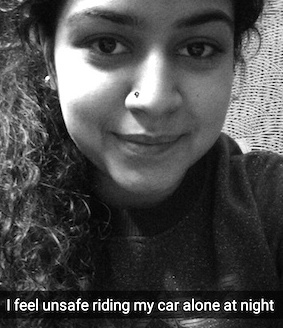 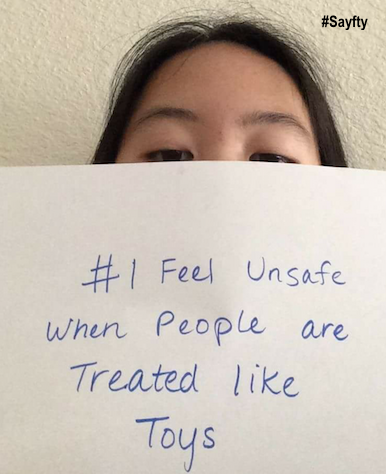 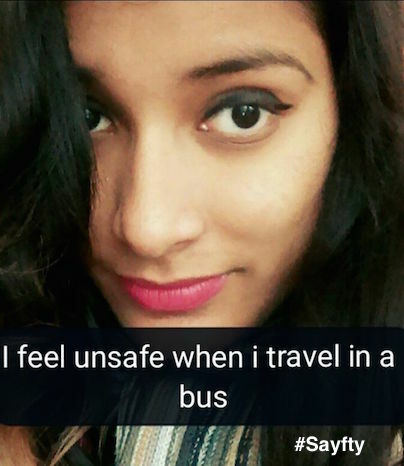 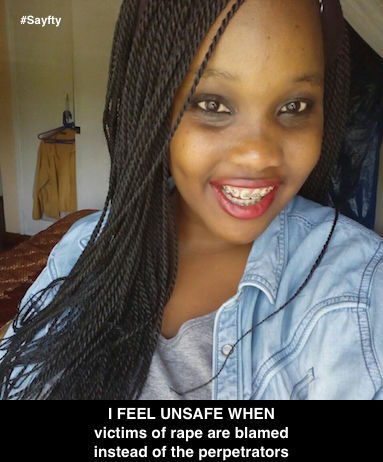 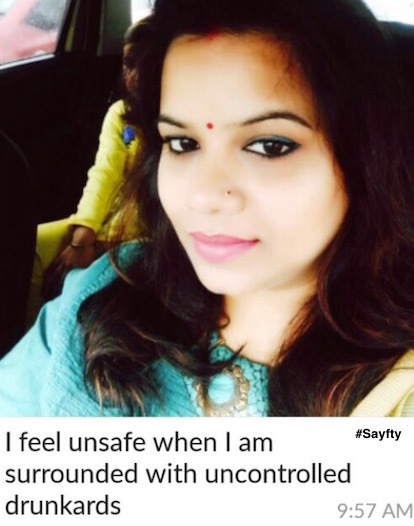 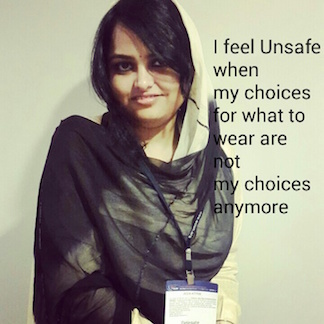 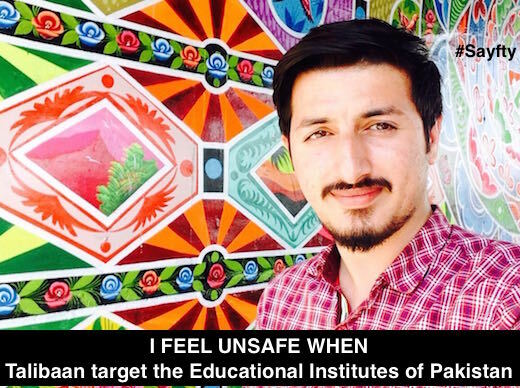 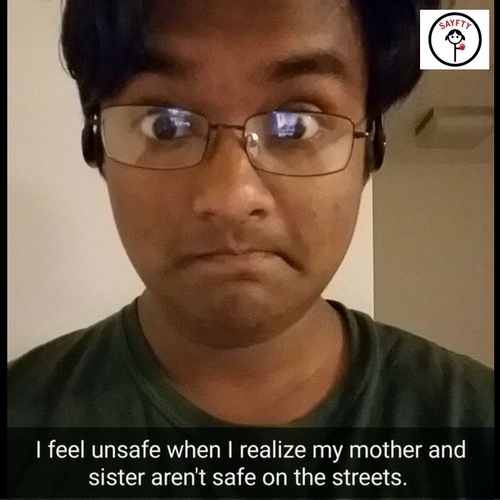 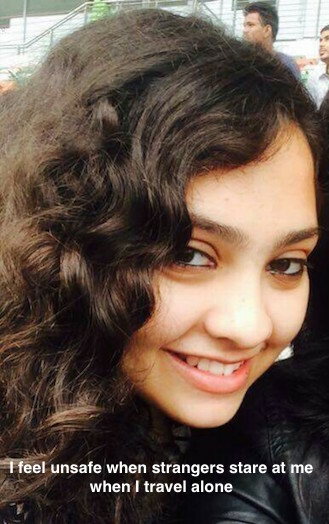 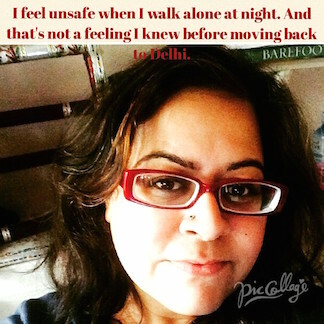 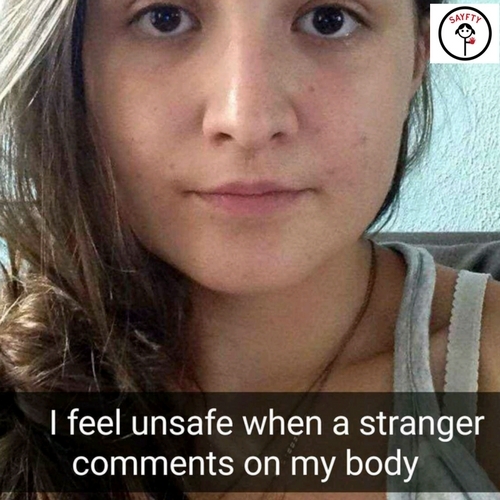 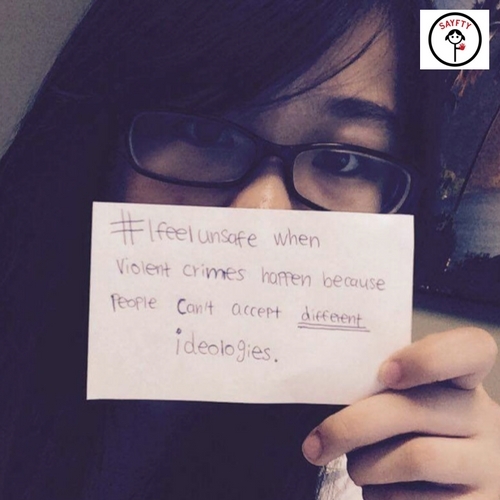 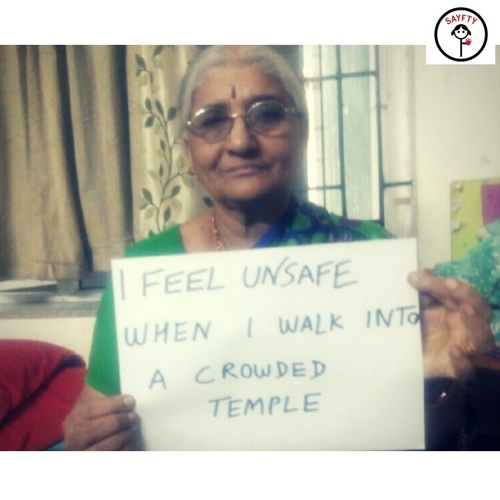 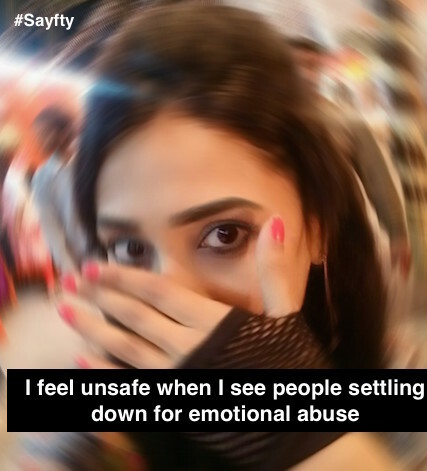 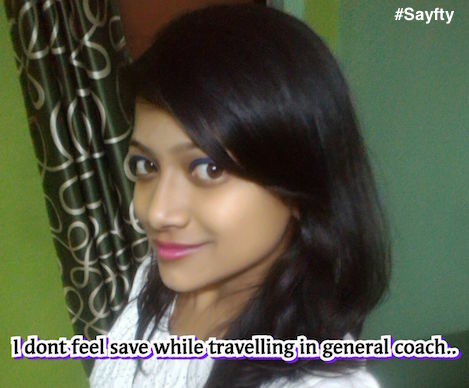 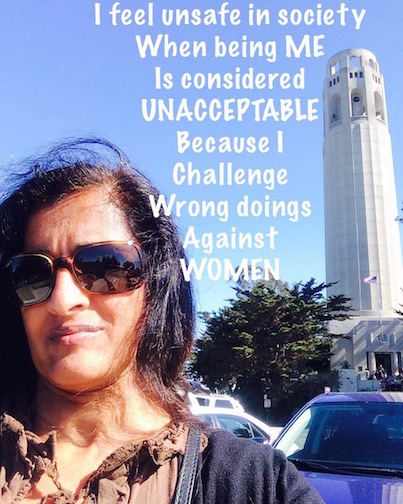 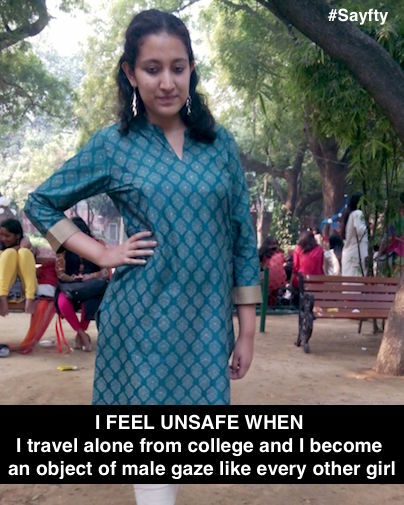 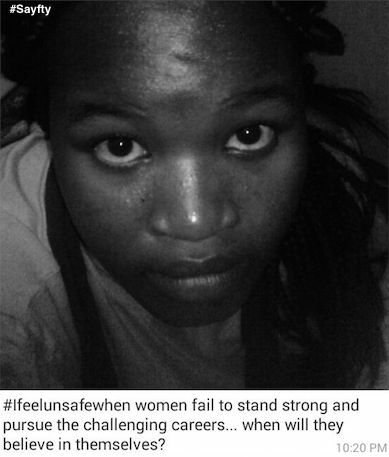 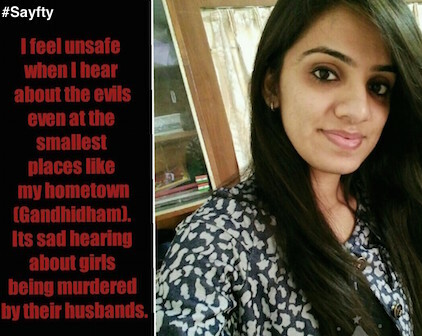 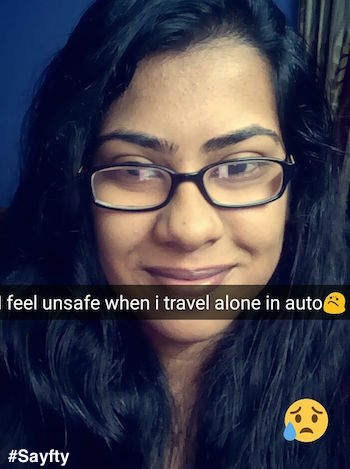 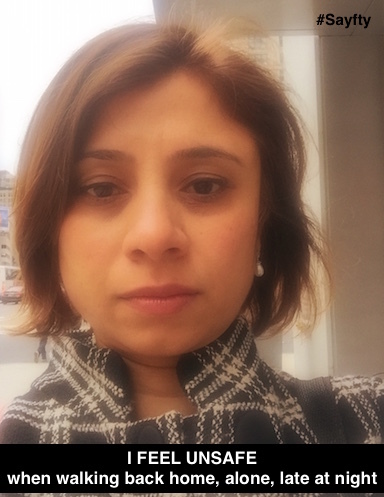 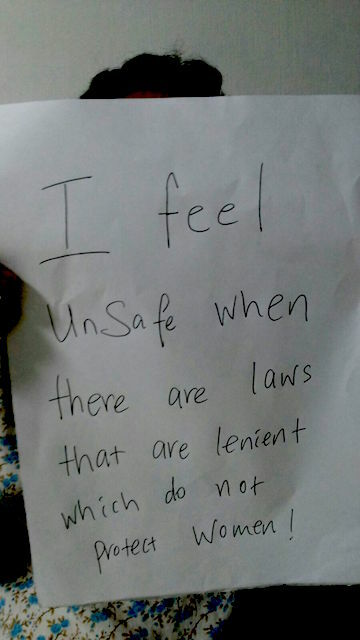 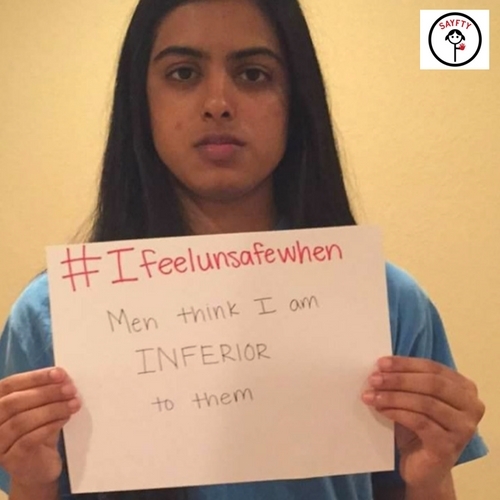 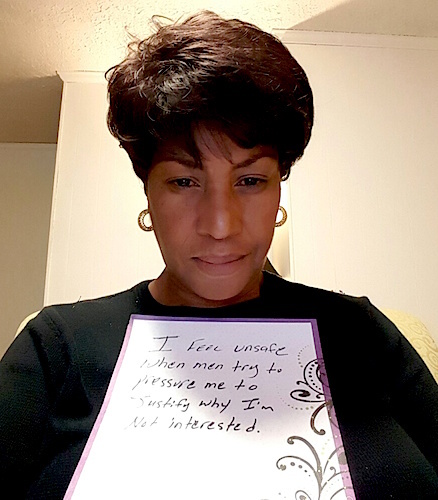 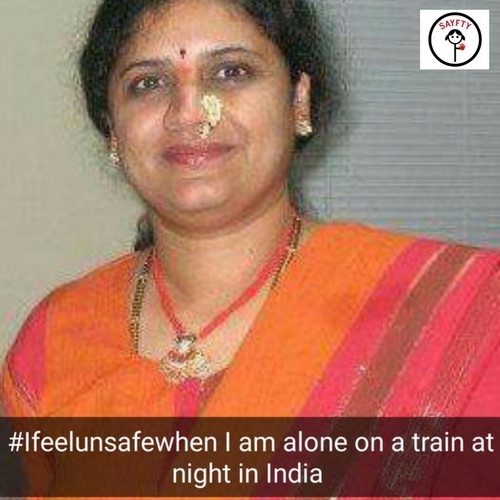 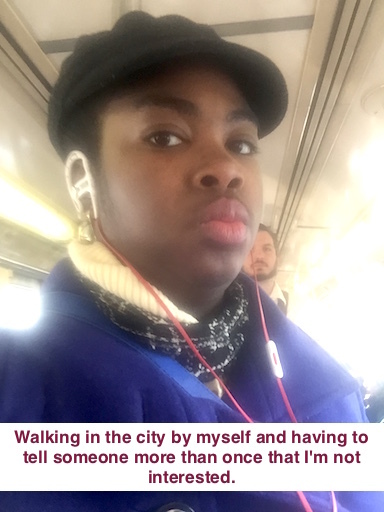 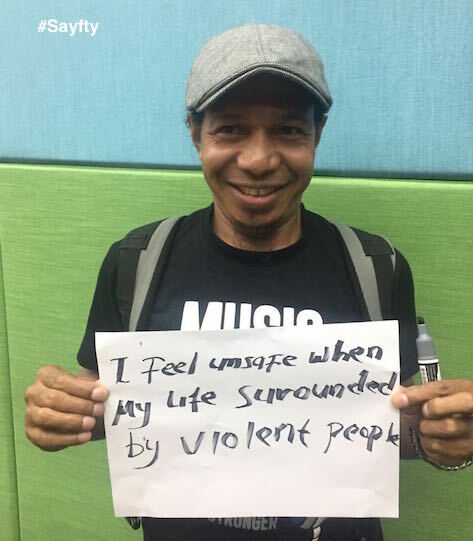 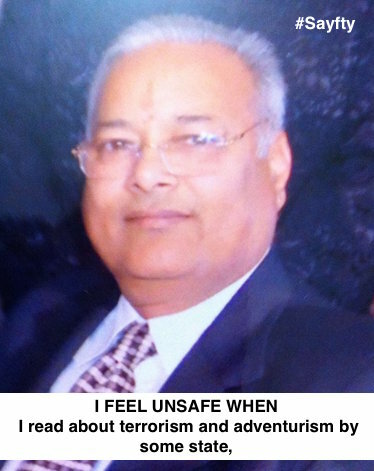 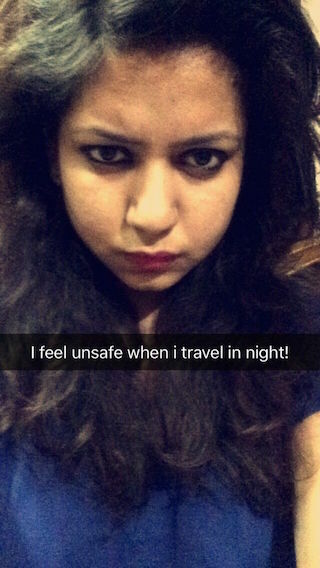 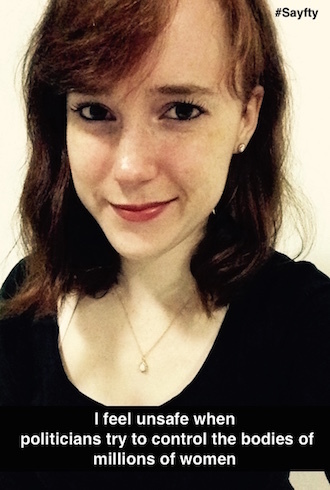 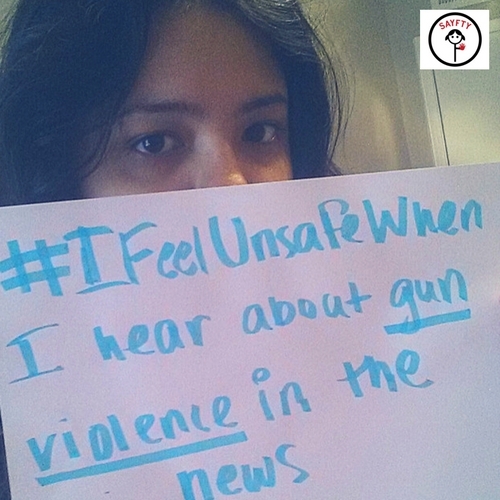 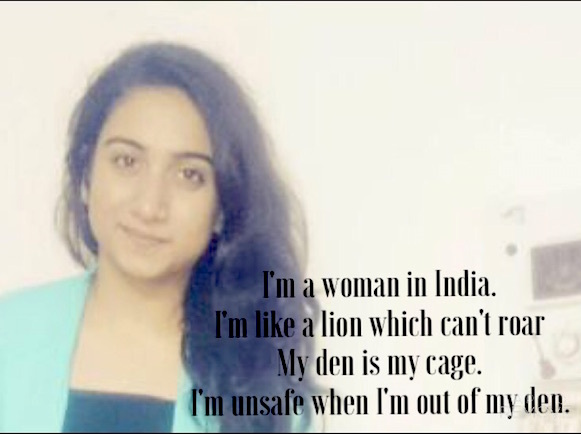 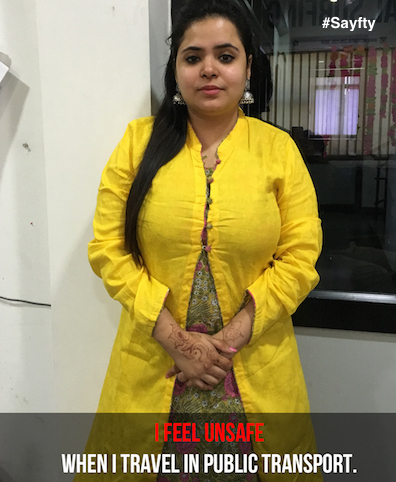 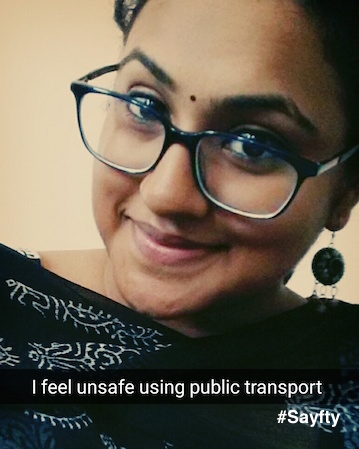 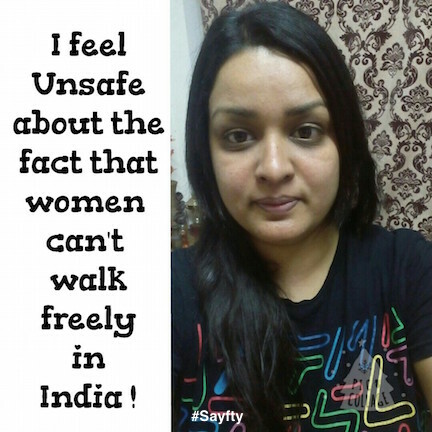 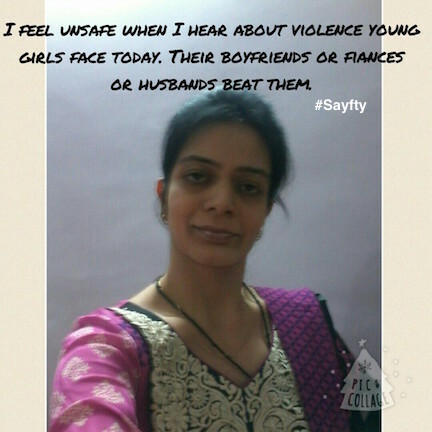 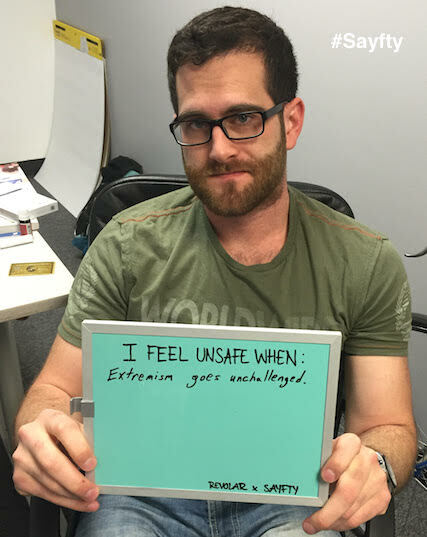 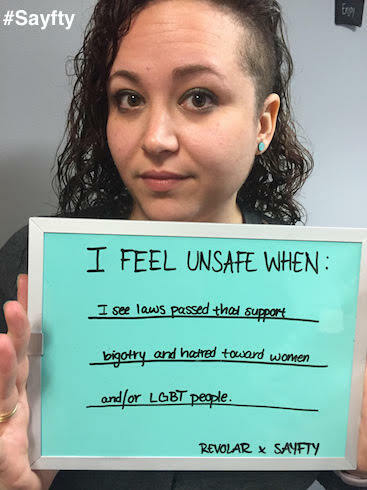 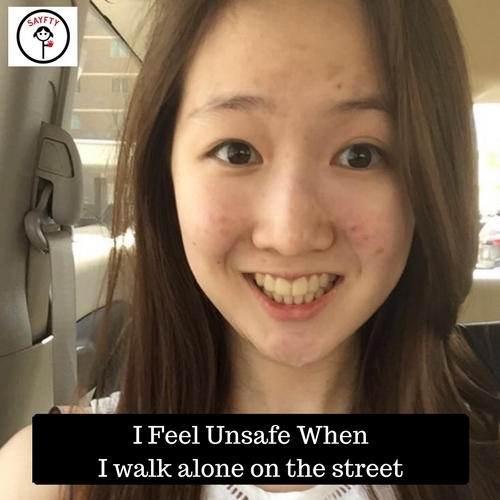 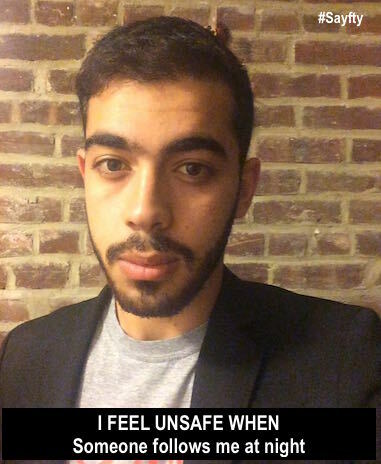 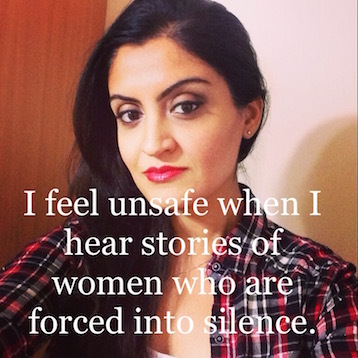 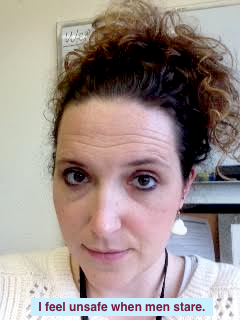 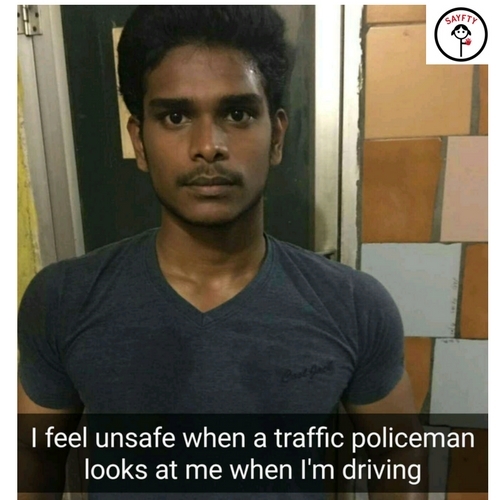 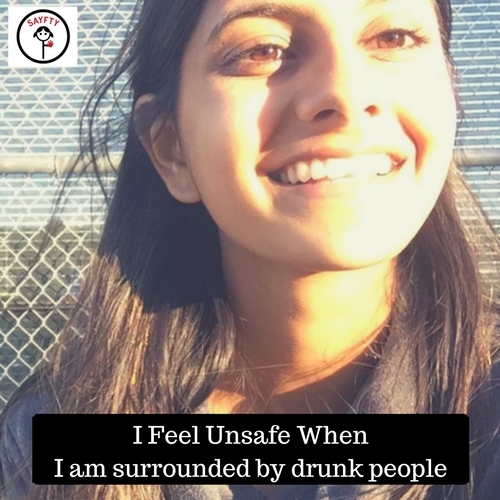 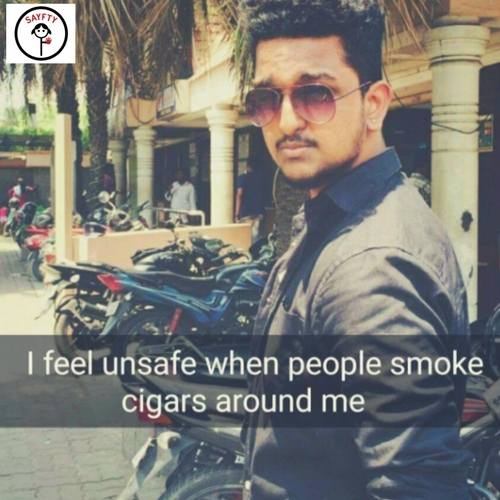 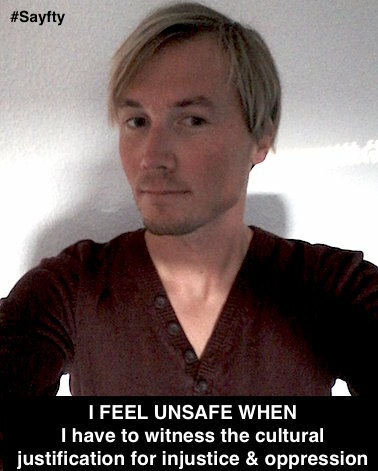 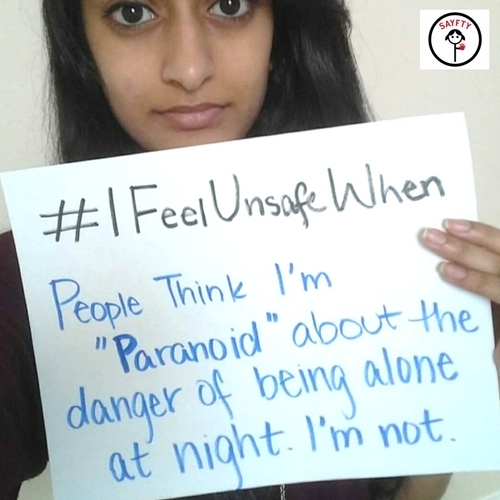 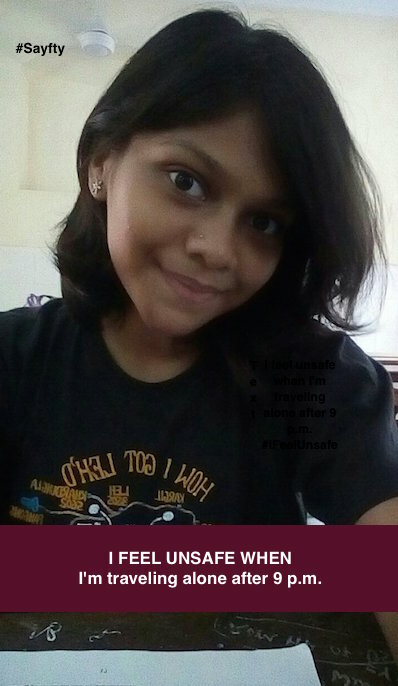 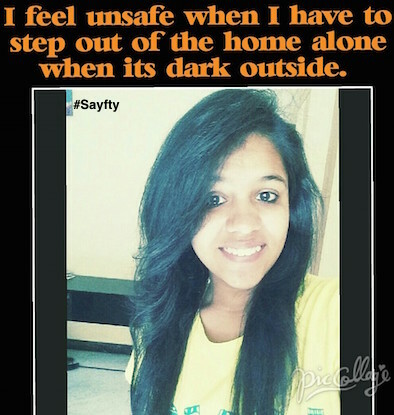 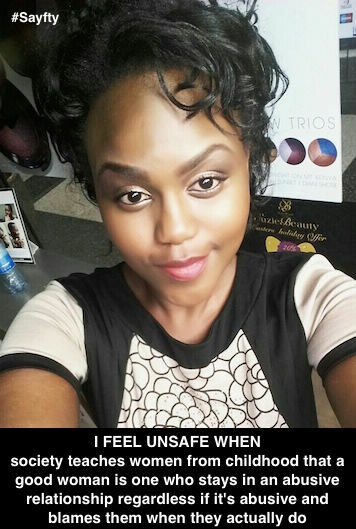 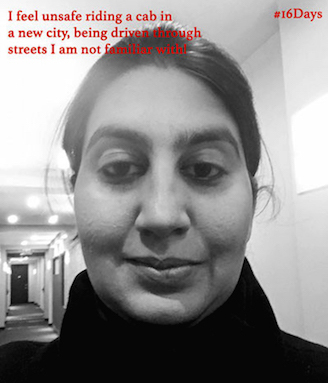 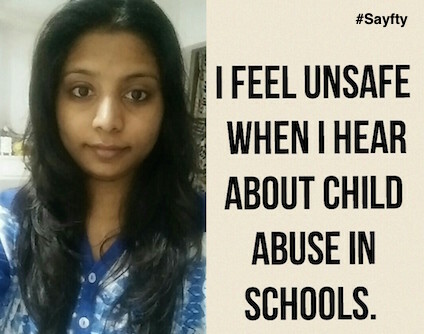 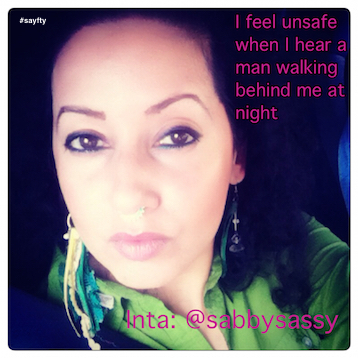 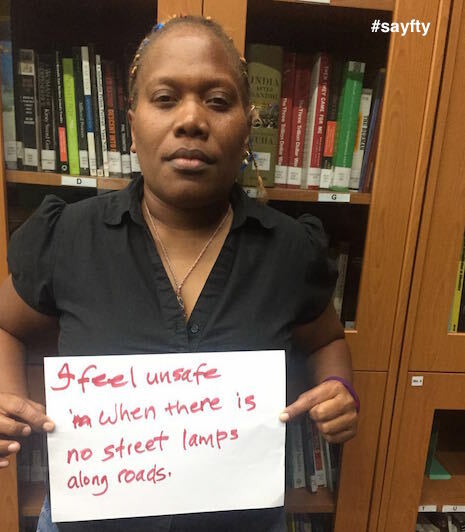 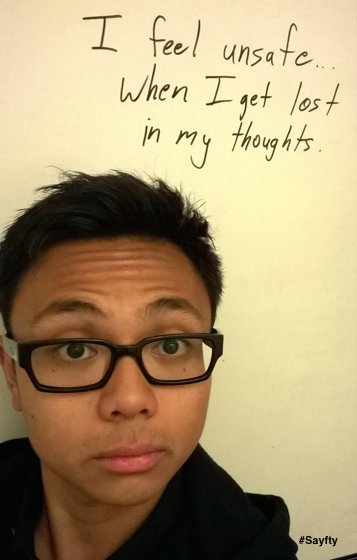 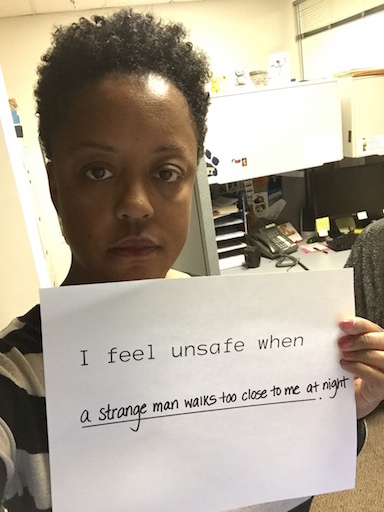 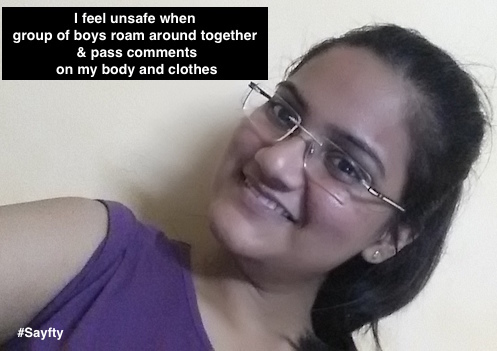 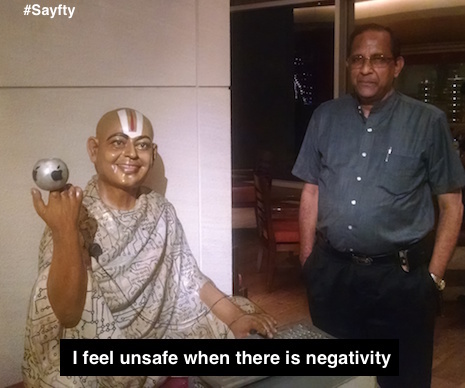 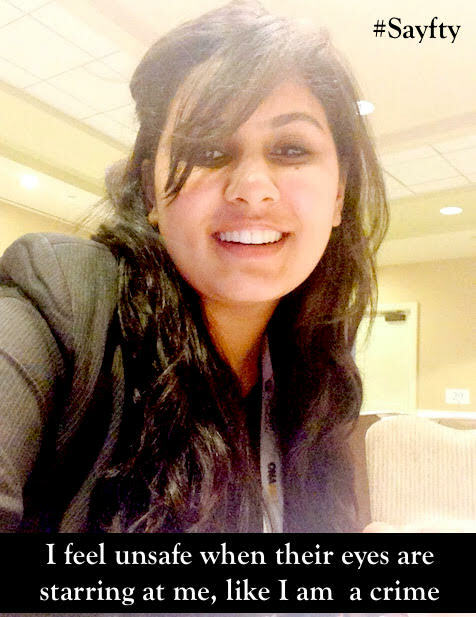 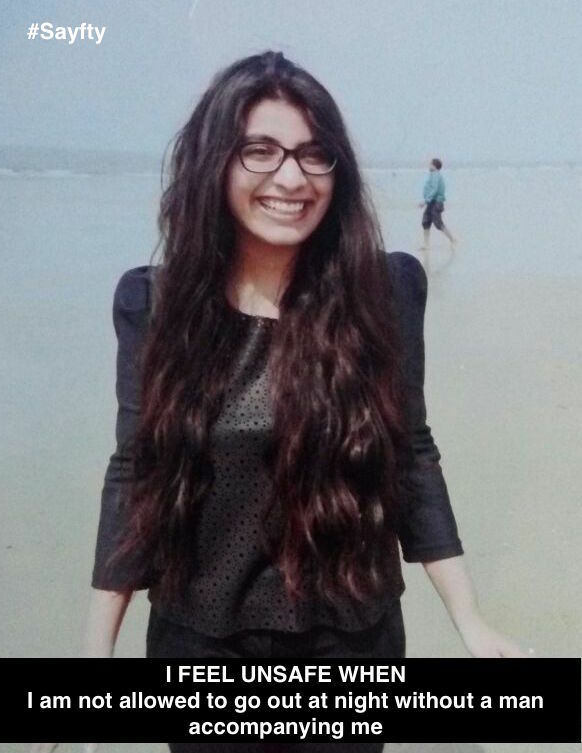 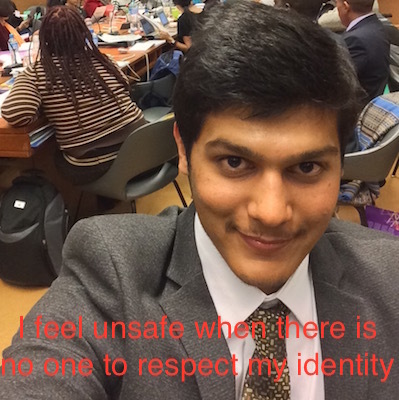 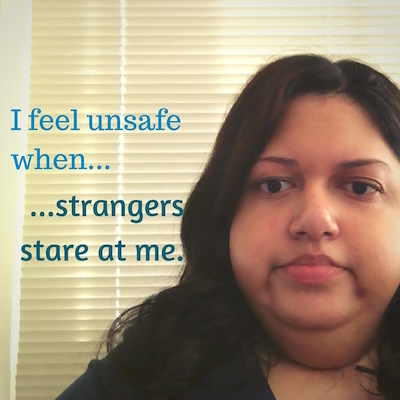 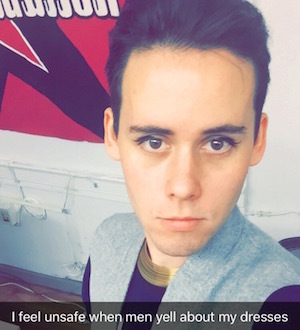 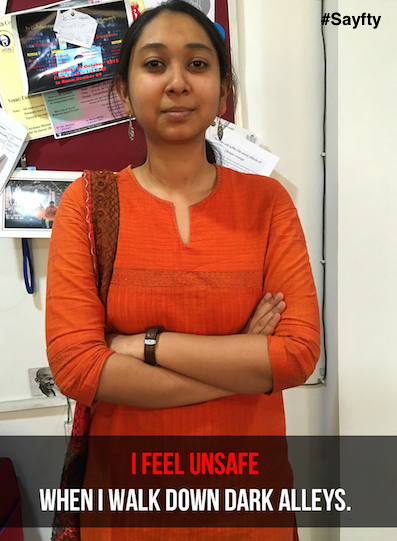 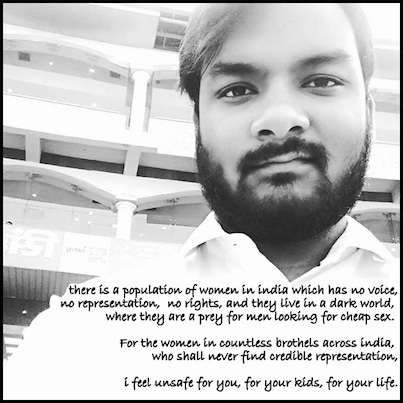 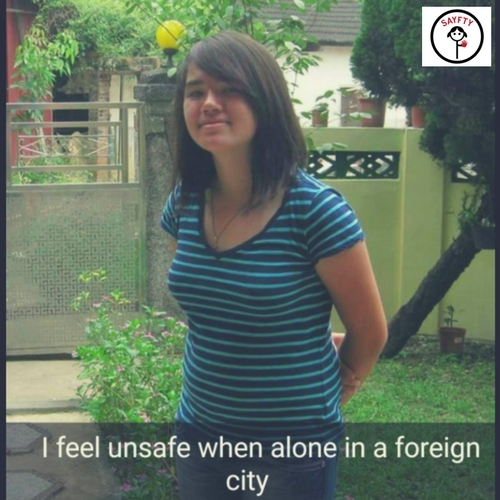 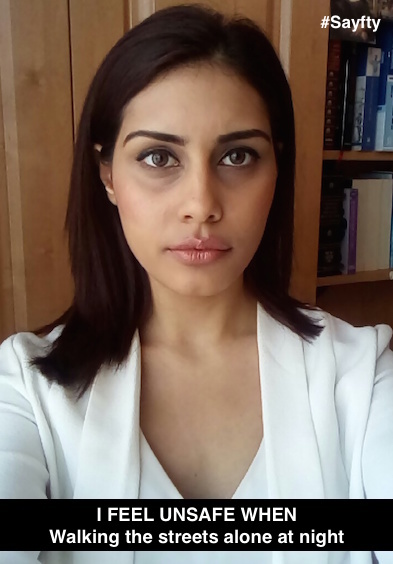 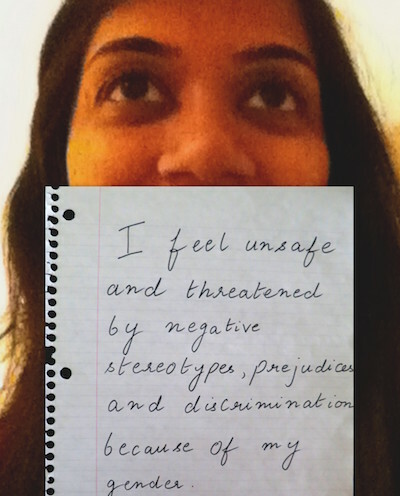 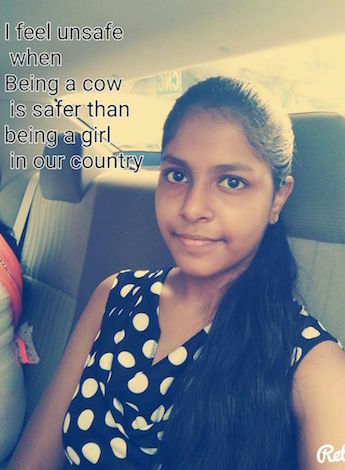 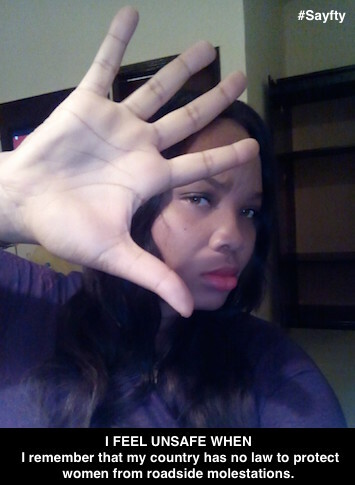 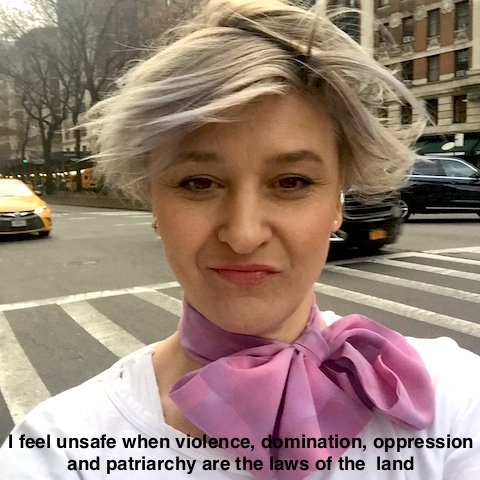 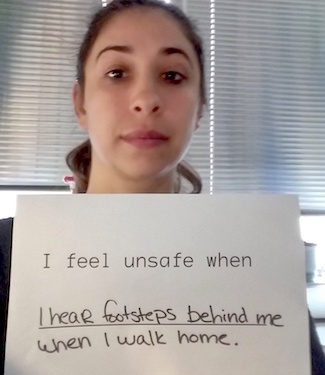 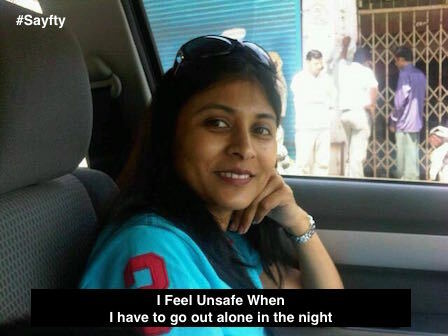 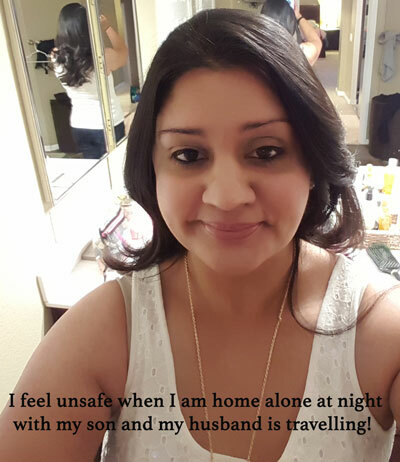 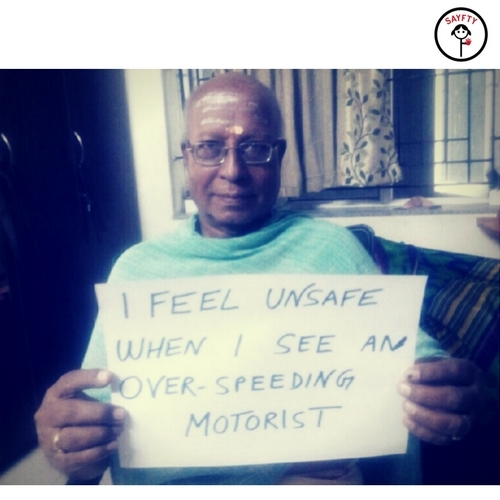 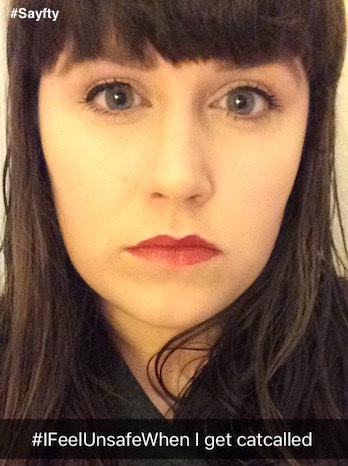 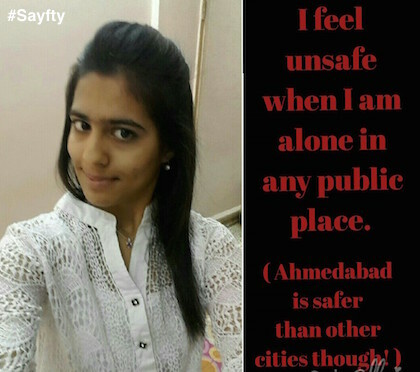 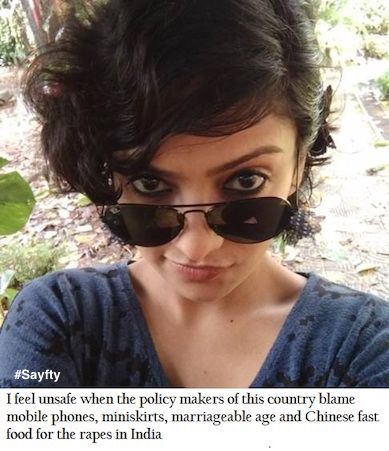 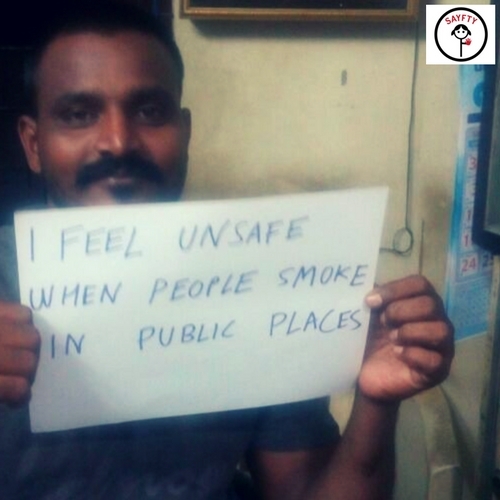 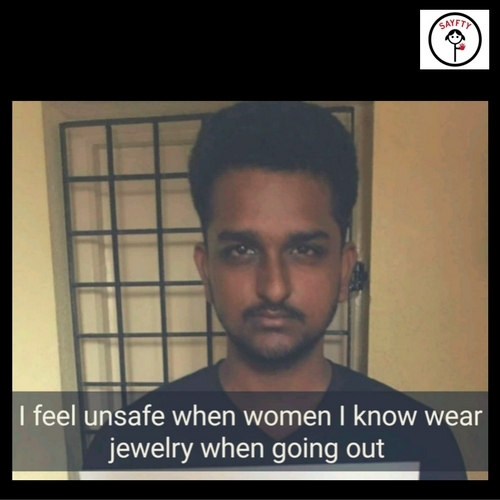 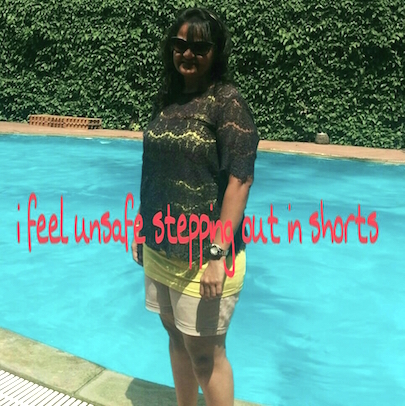 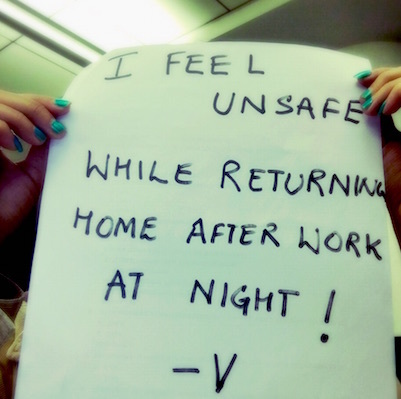 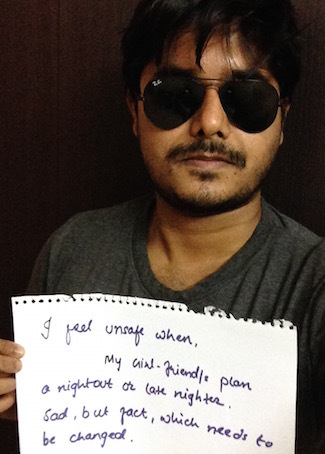 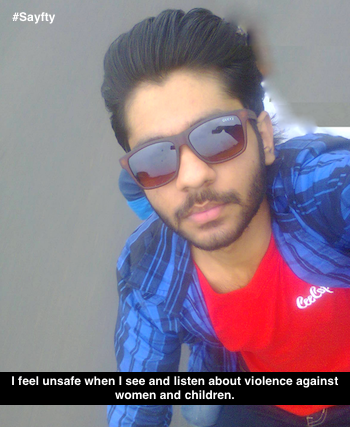 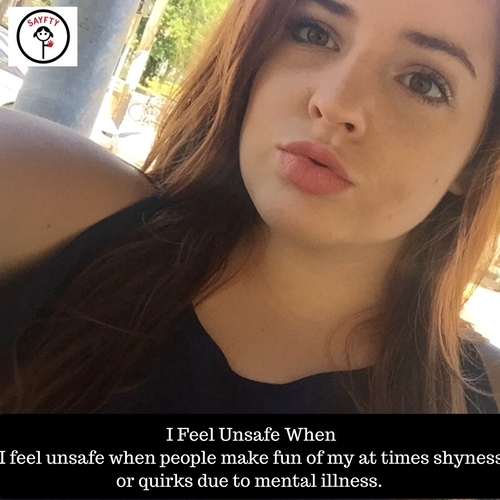 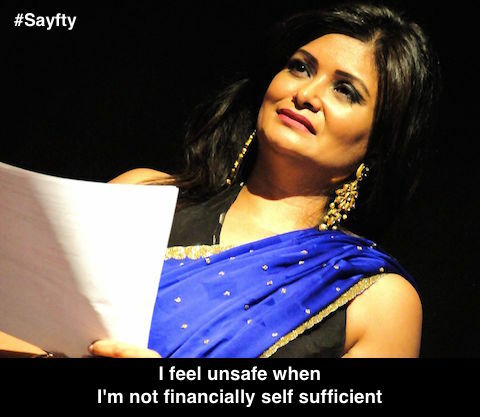 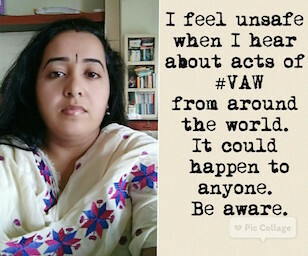 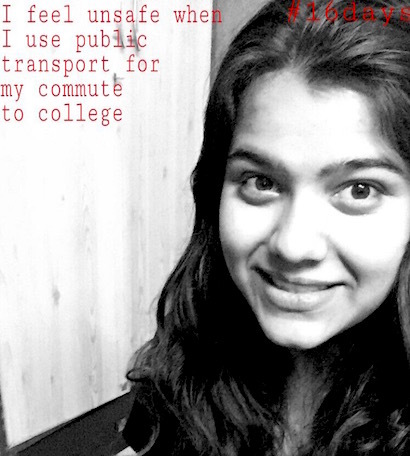 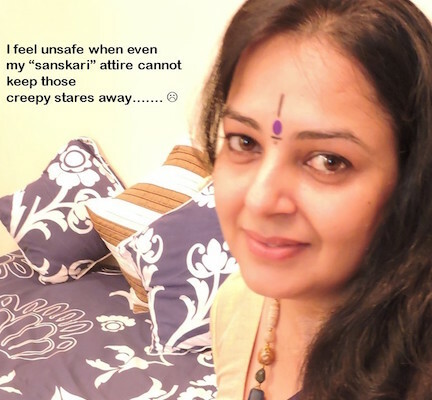 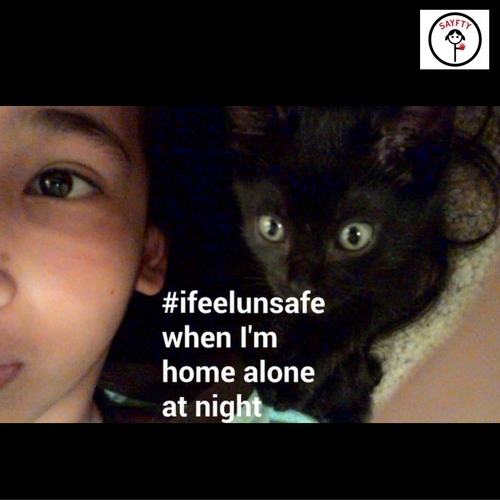 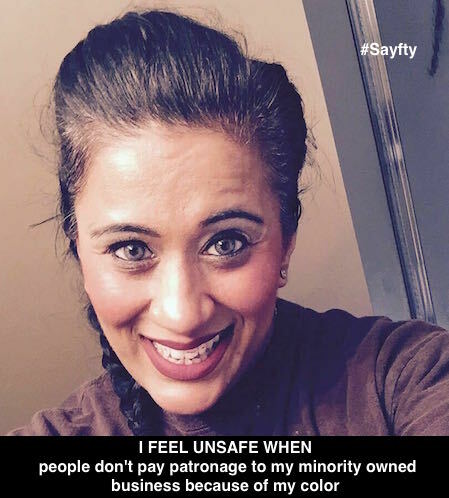 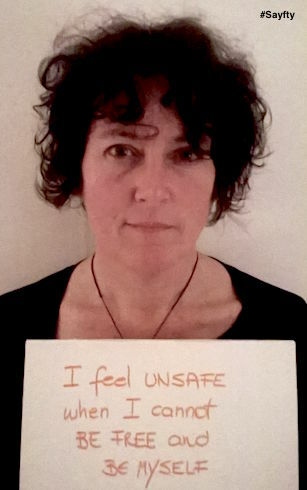 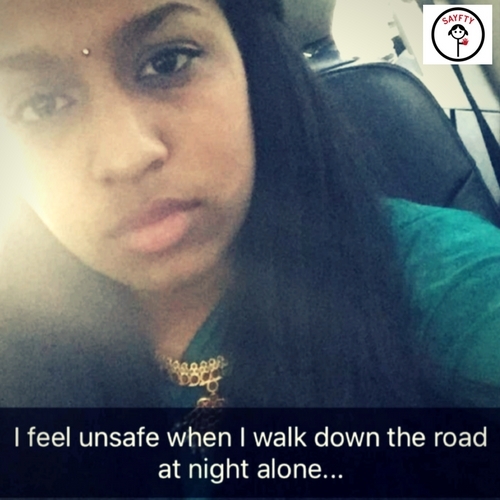 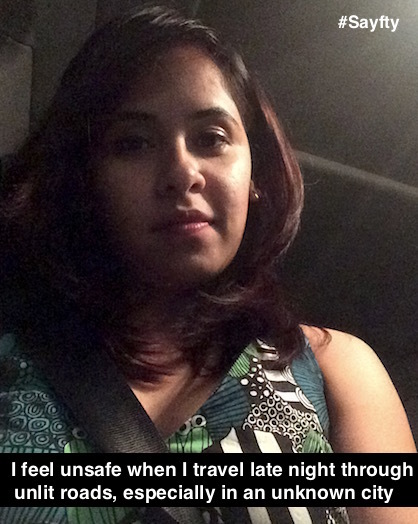 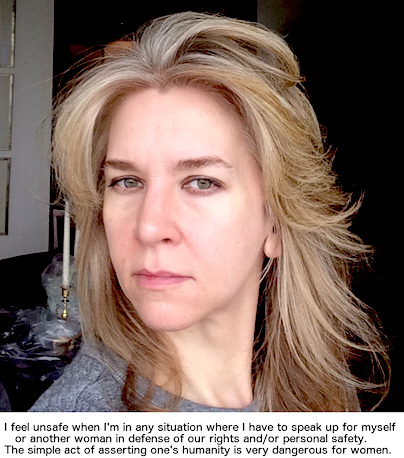 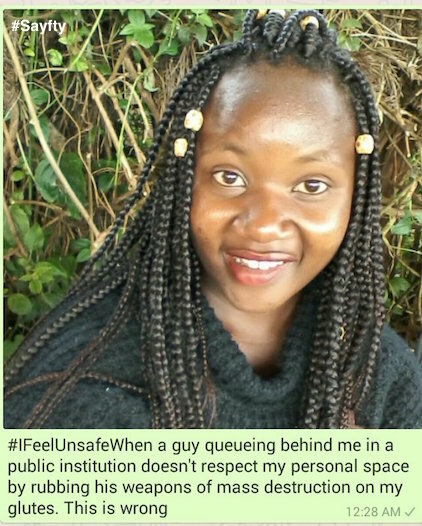 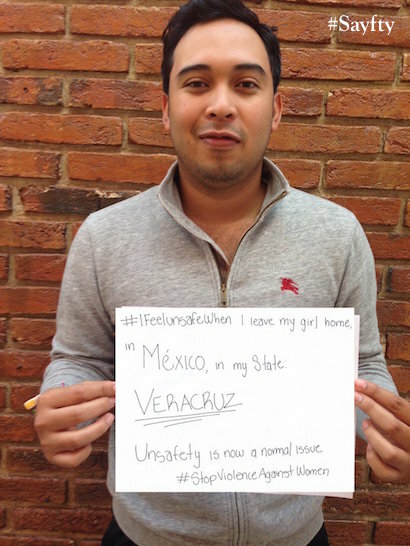 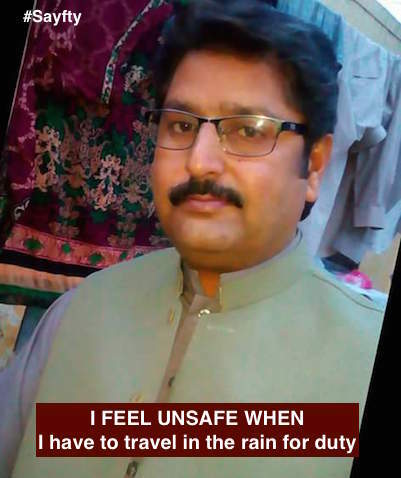 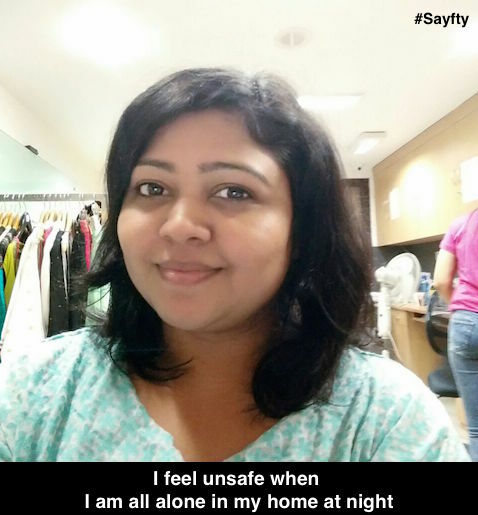 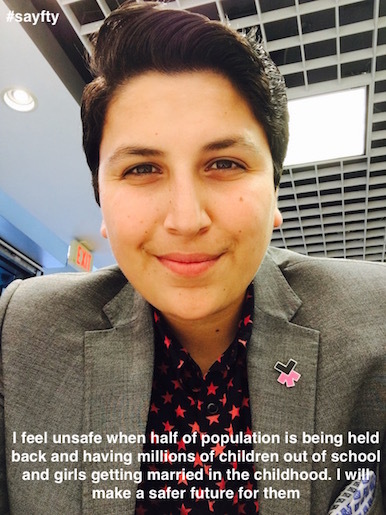 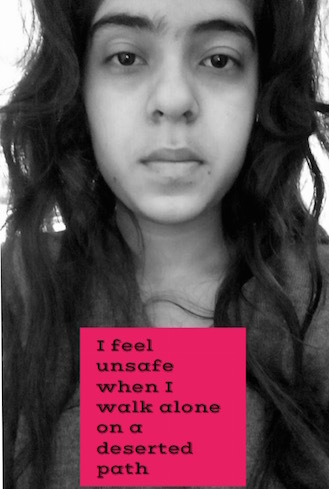 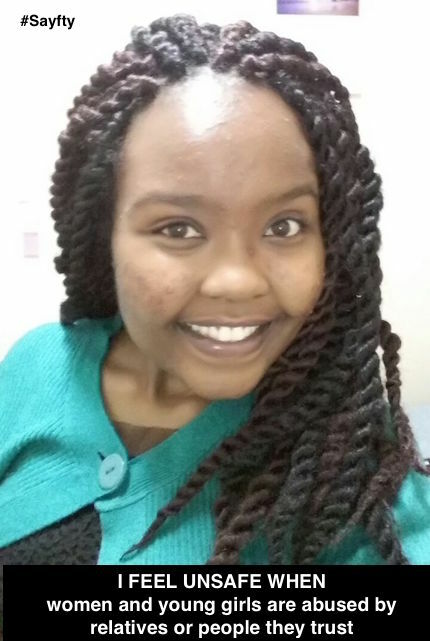 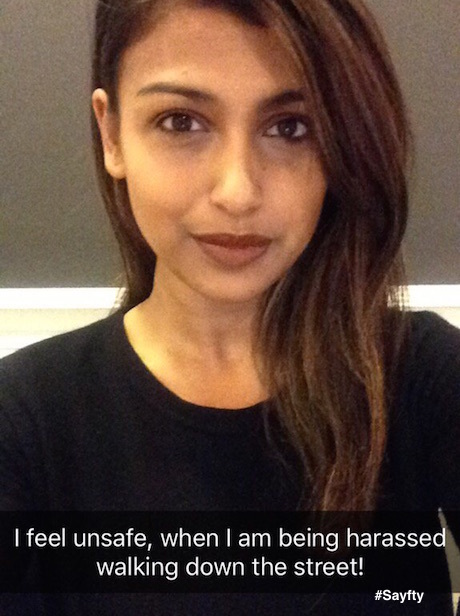 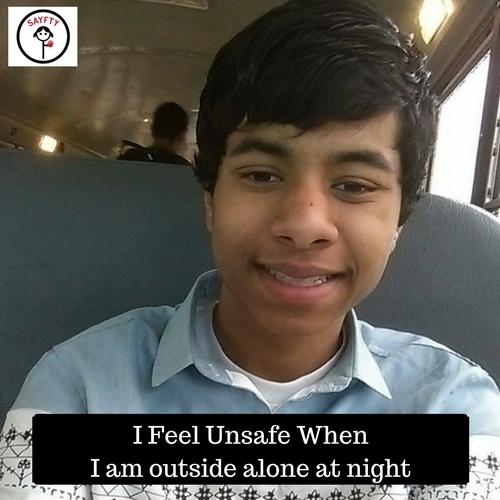 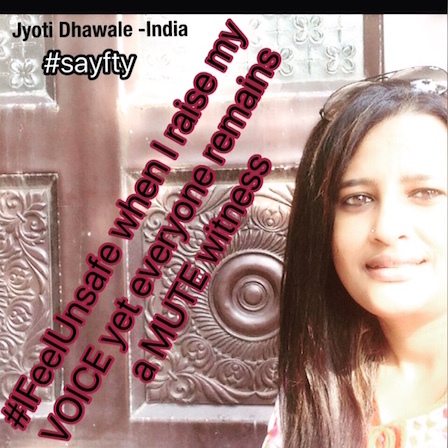 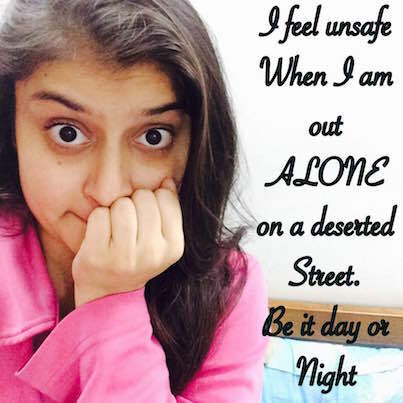 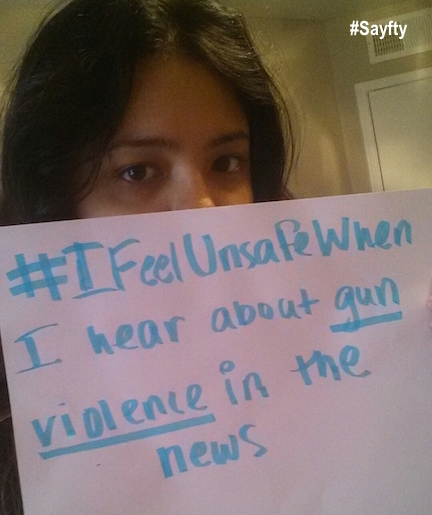 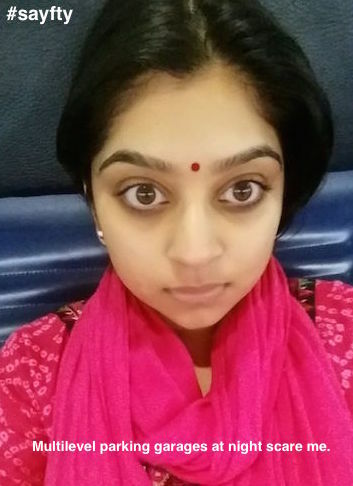 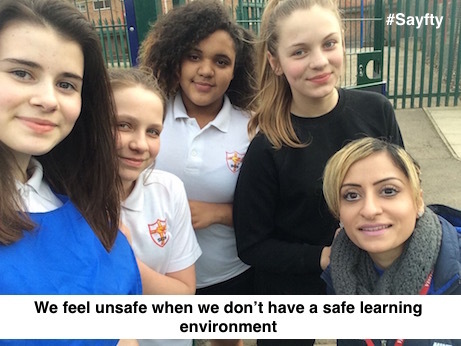 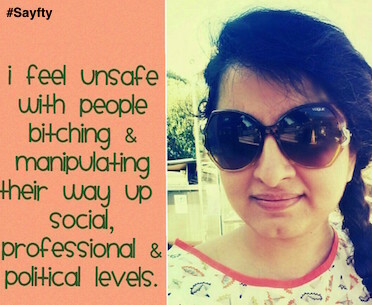 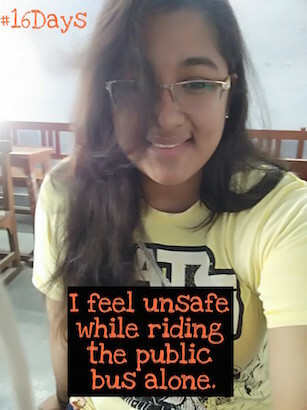 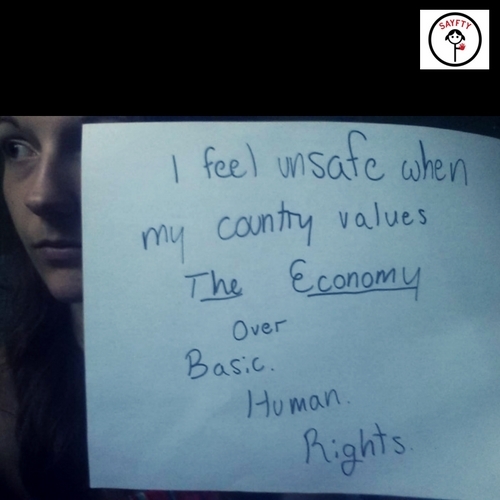 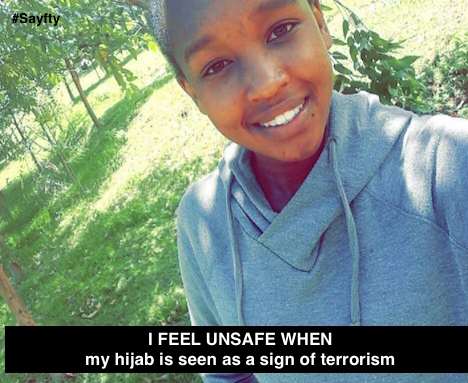 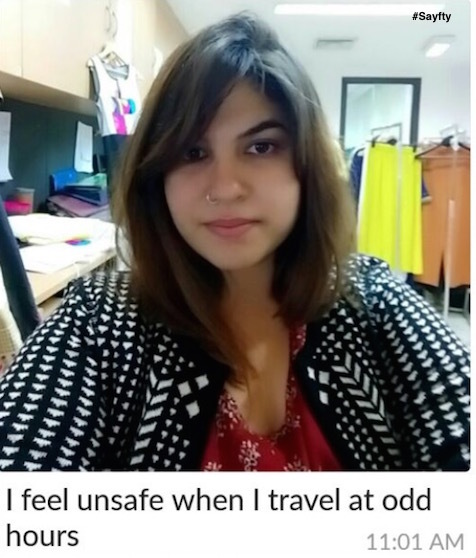 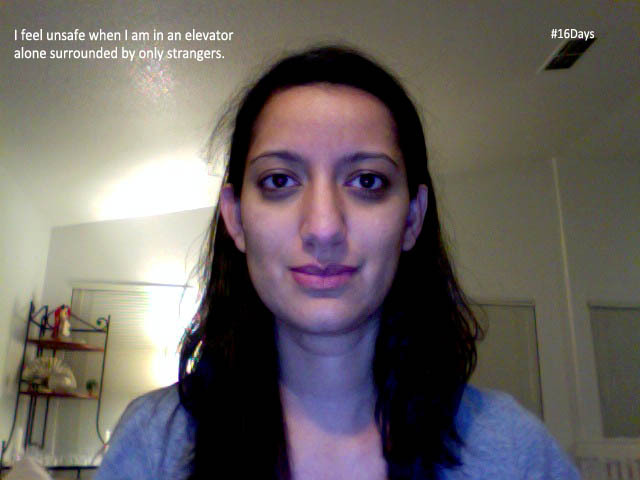 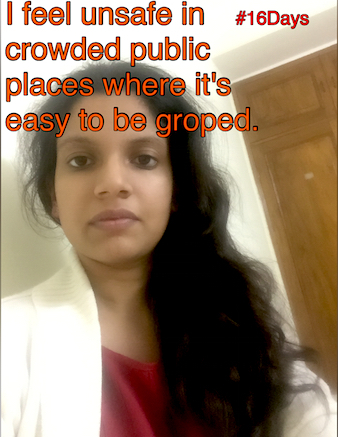 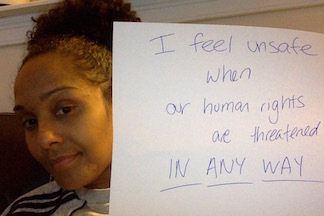 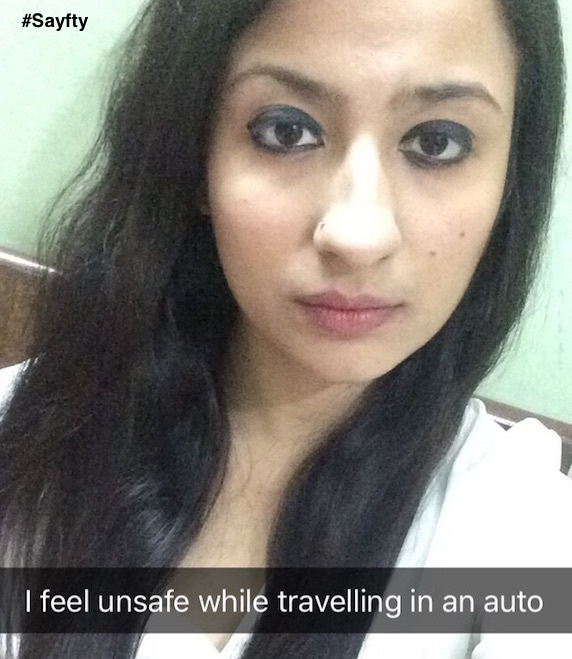 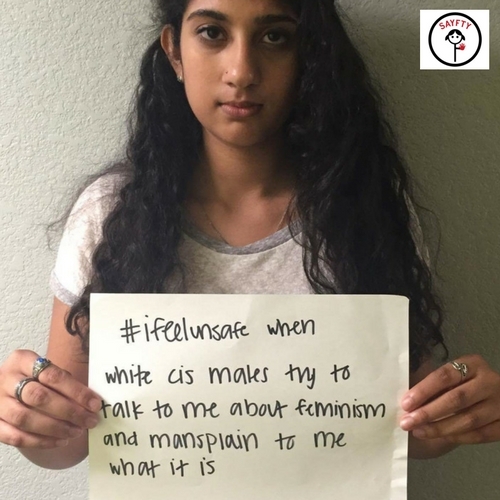 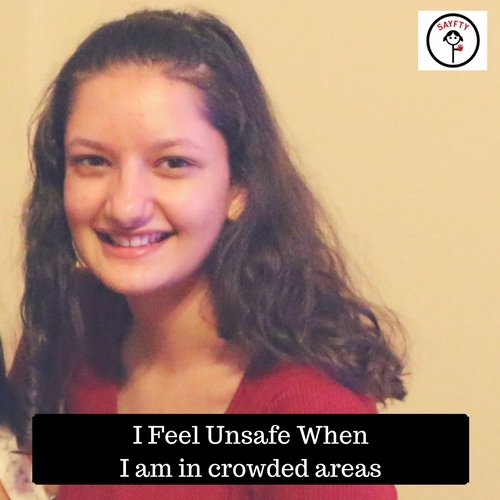 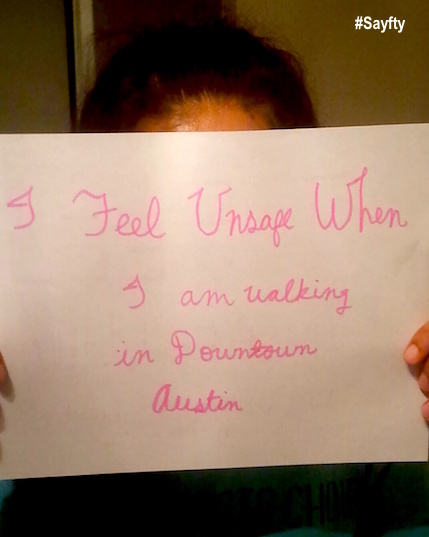 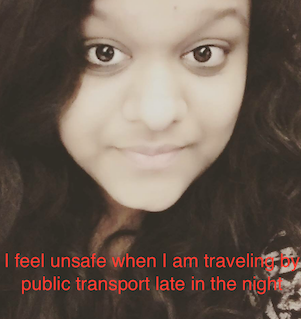 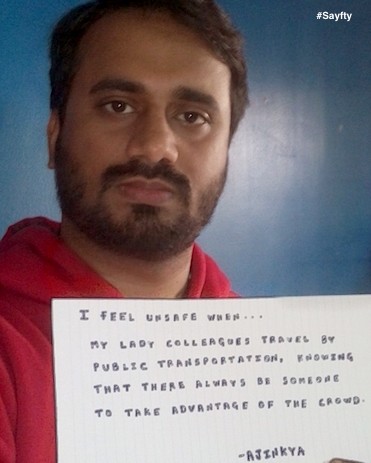 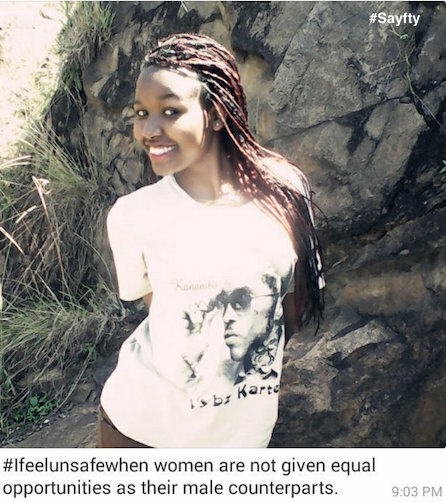 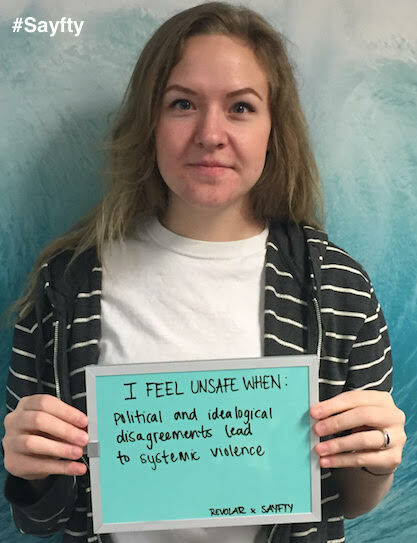 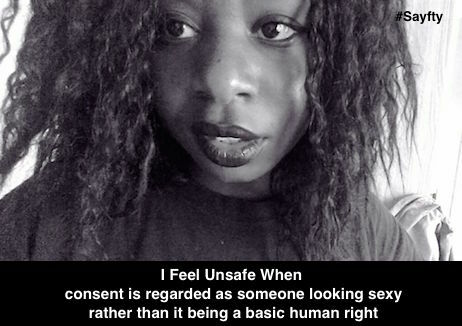 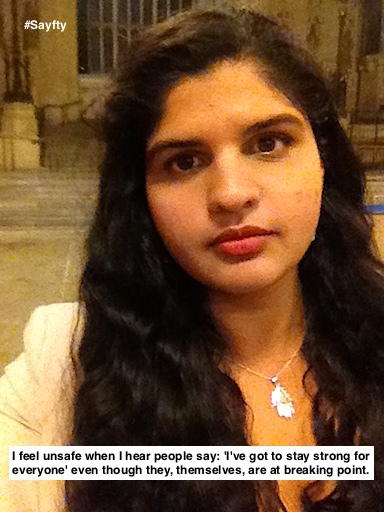 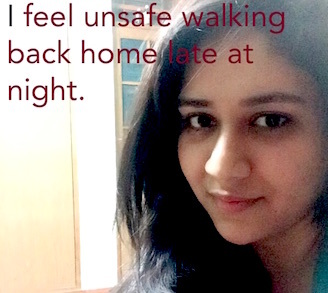 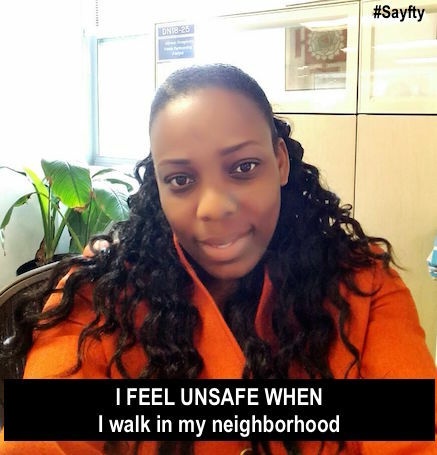 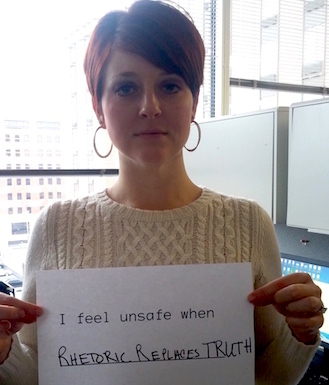 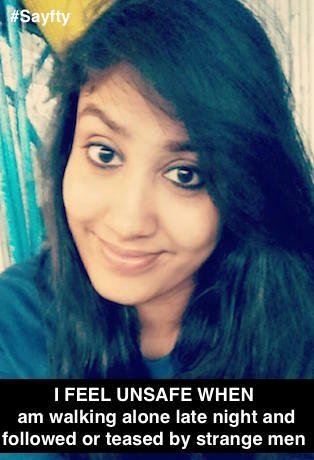 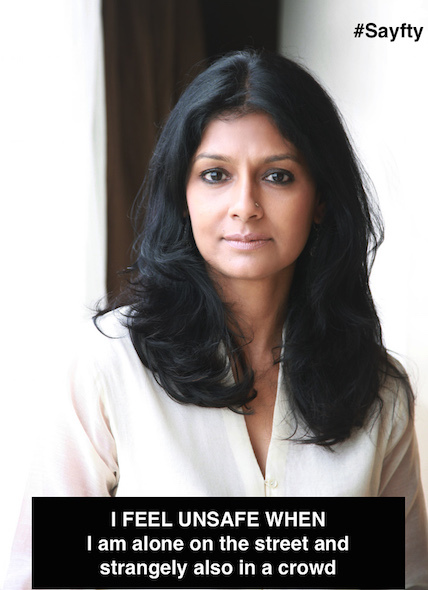 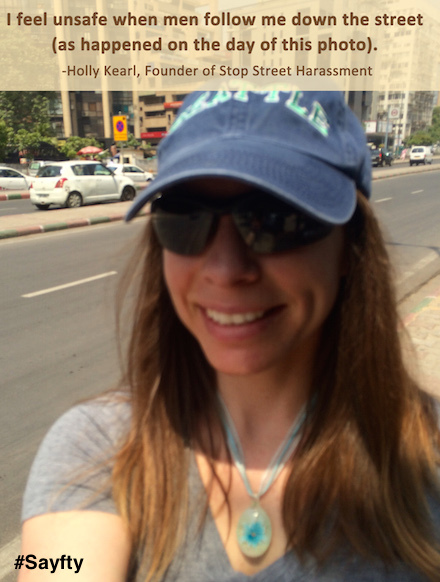 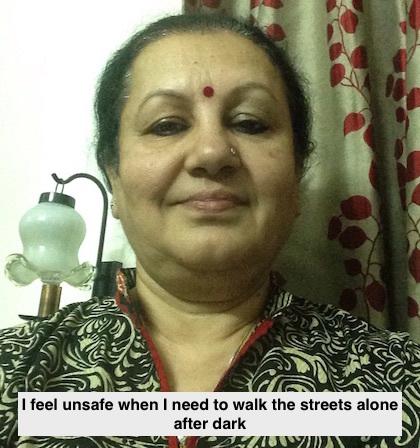 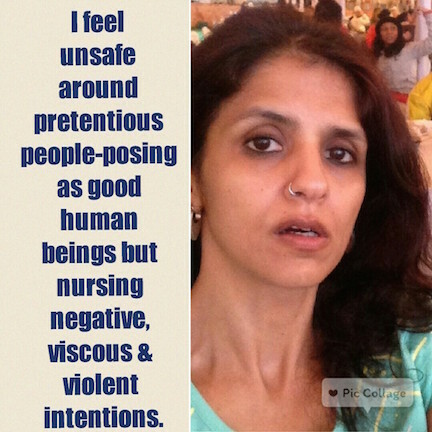 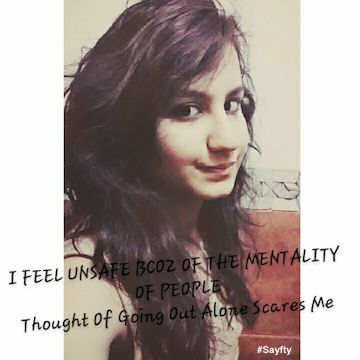 Send us a selfie along with a line describing what makes you feel unsafe. 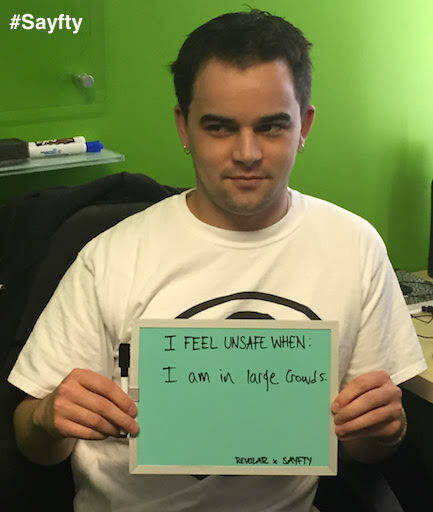 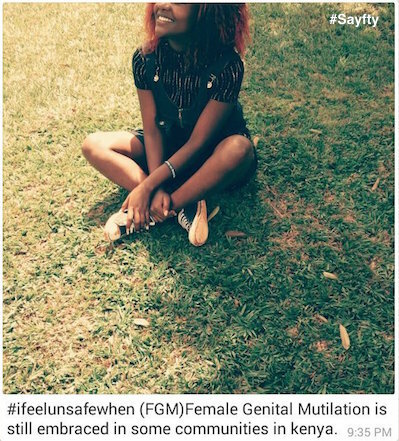 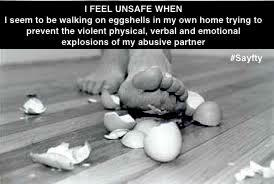 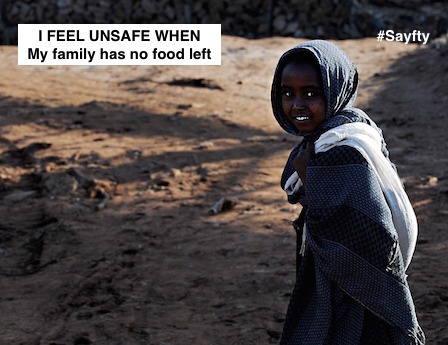 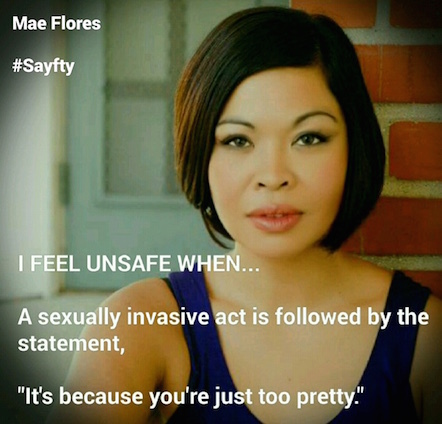 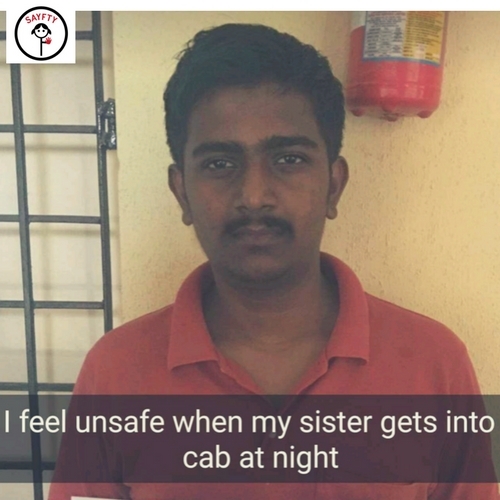 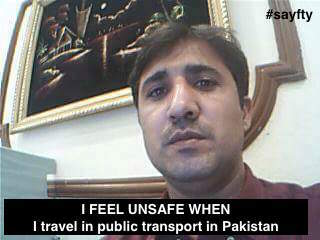 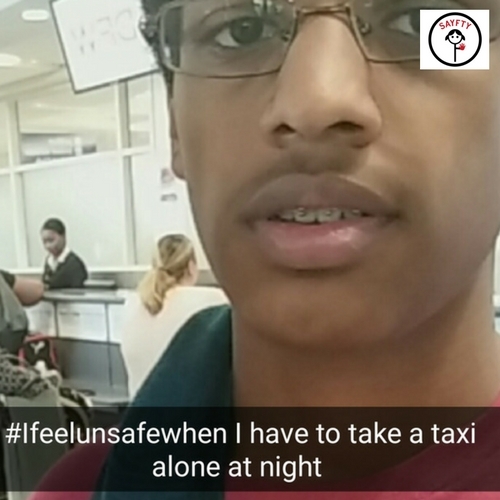 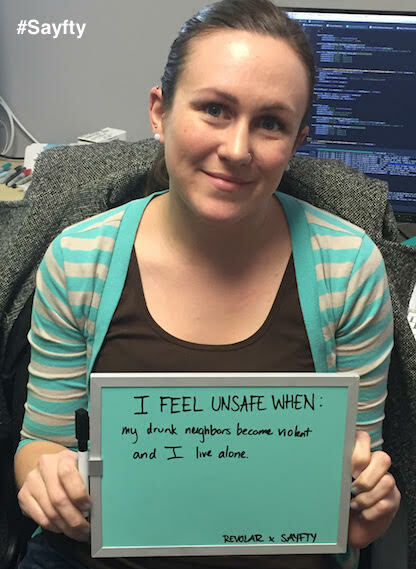 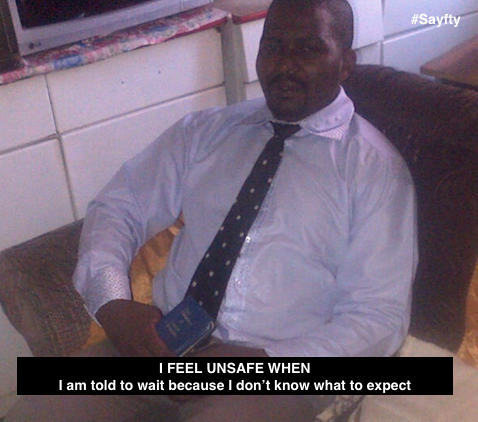 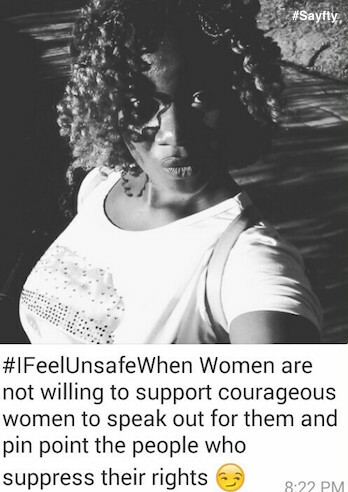 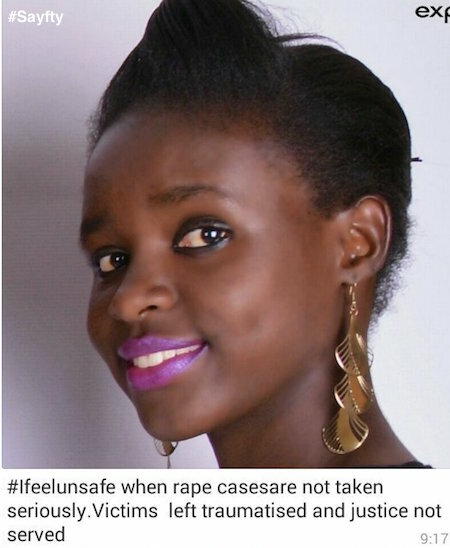 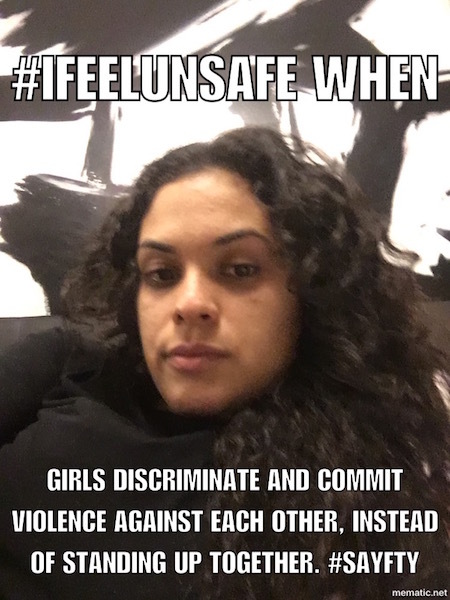 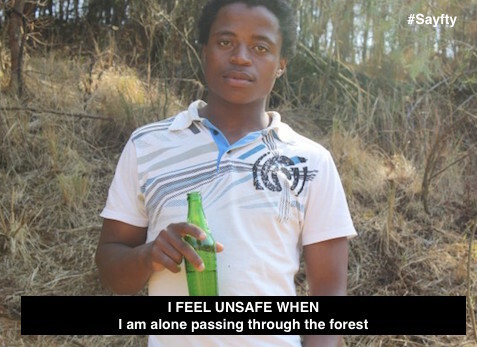 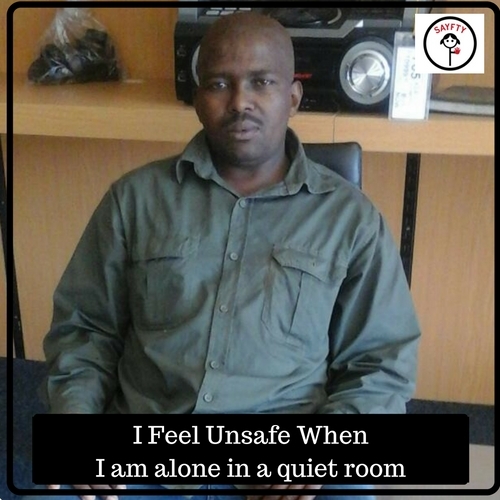 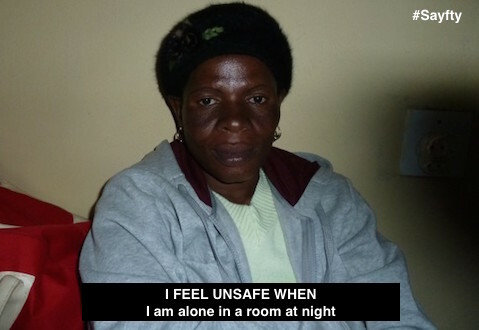 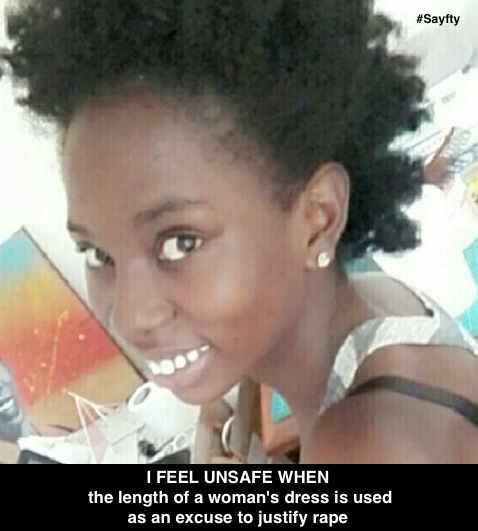 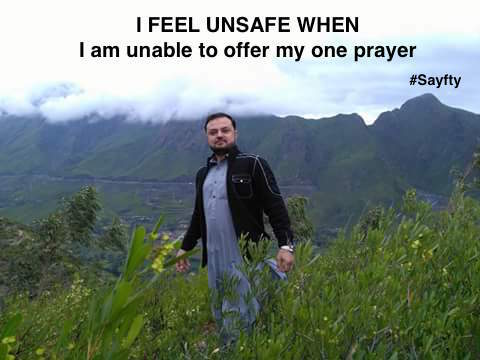 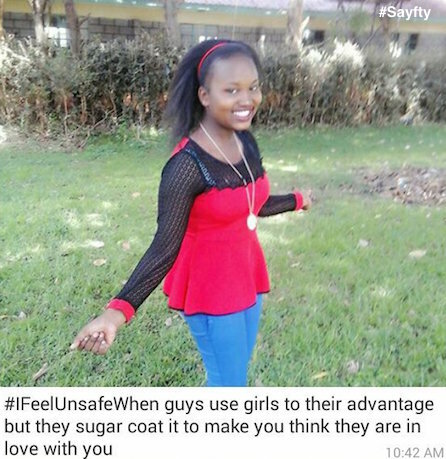 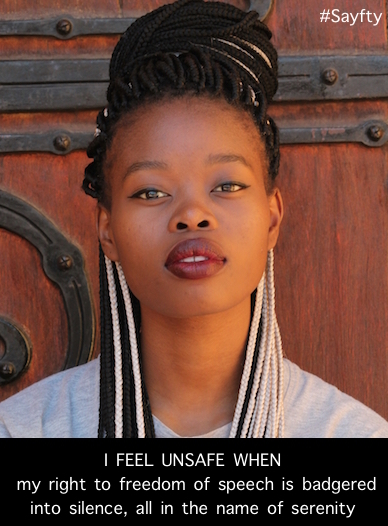 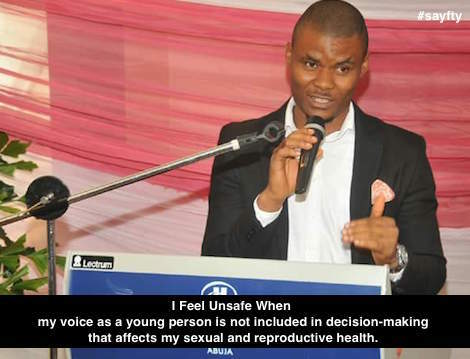 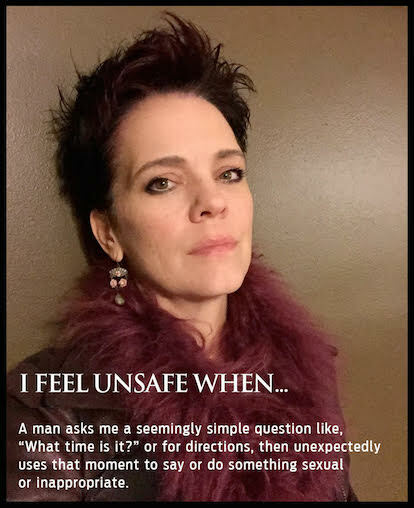 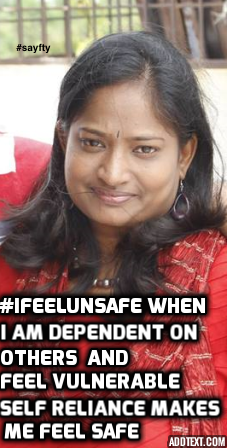 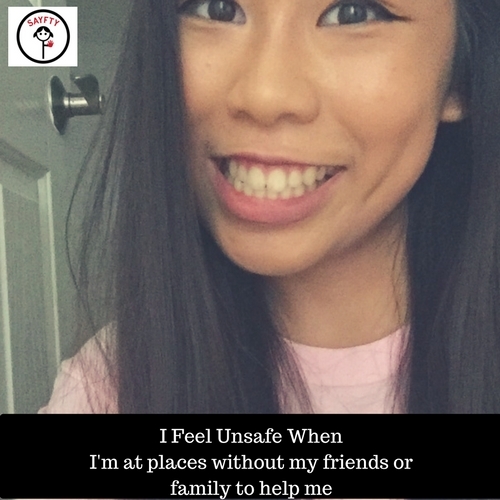 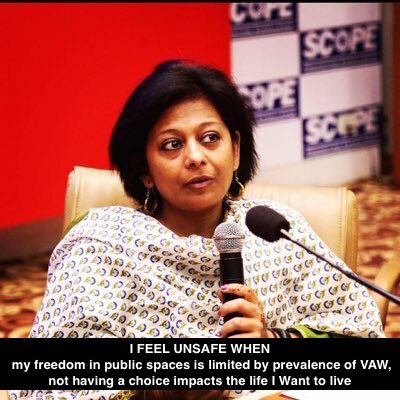 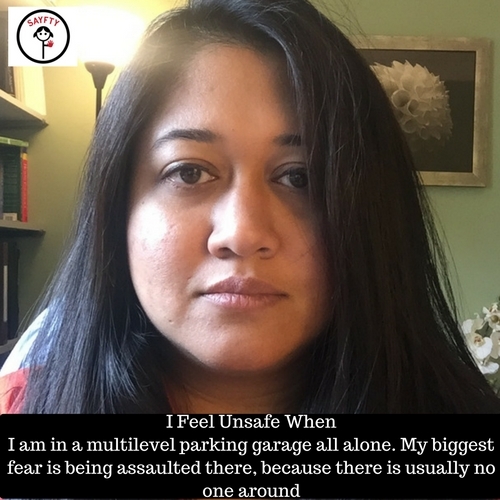 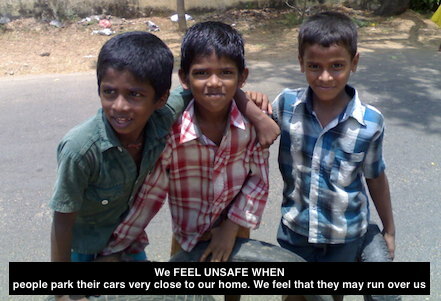 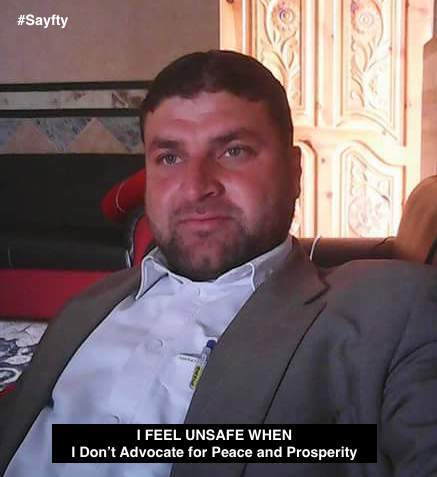 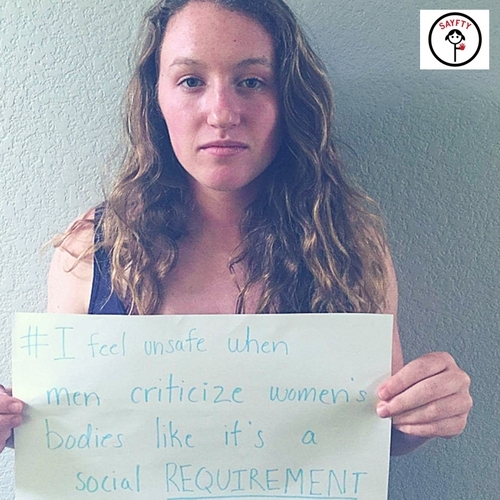 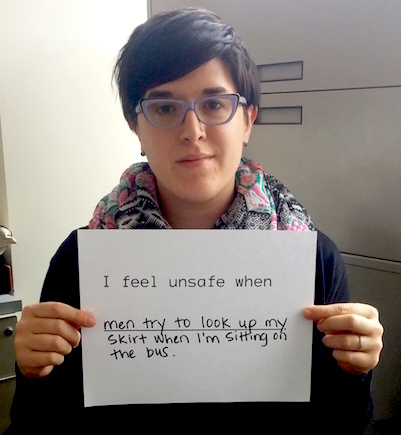 #IFeelUnsafe is an ongoing campaign and there is no submission deadline. 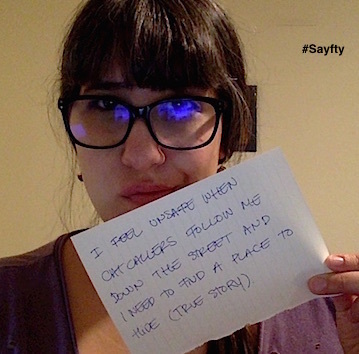 Email all submissions to team@sayfty.com or upload here.